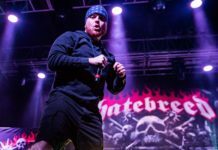 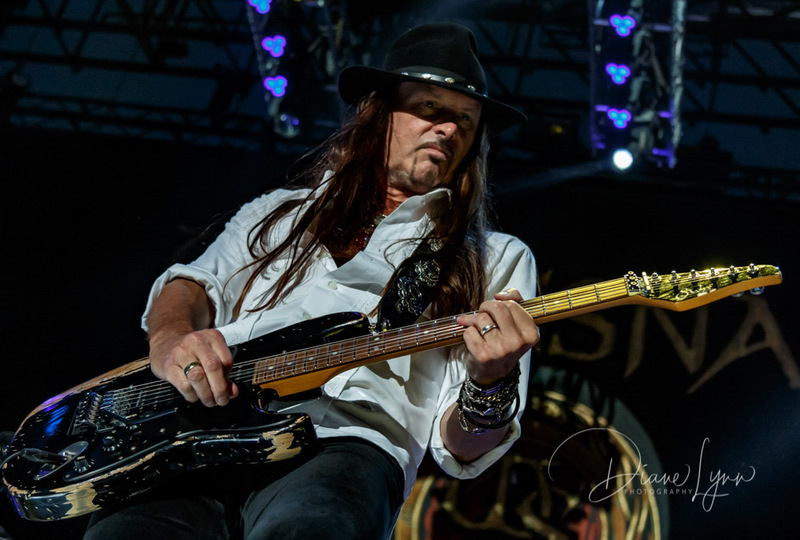 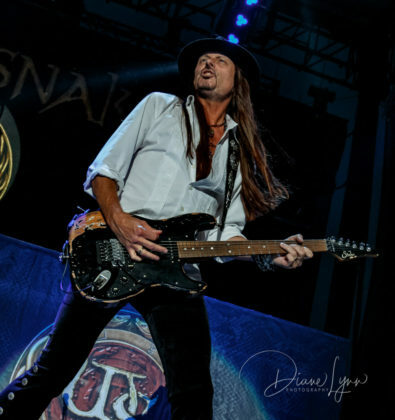 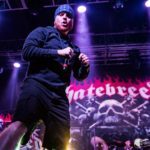 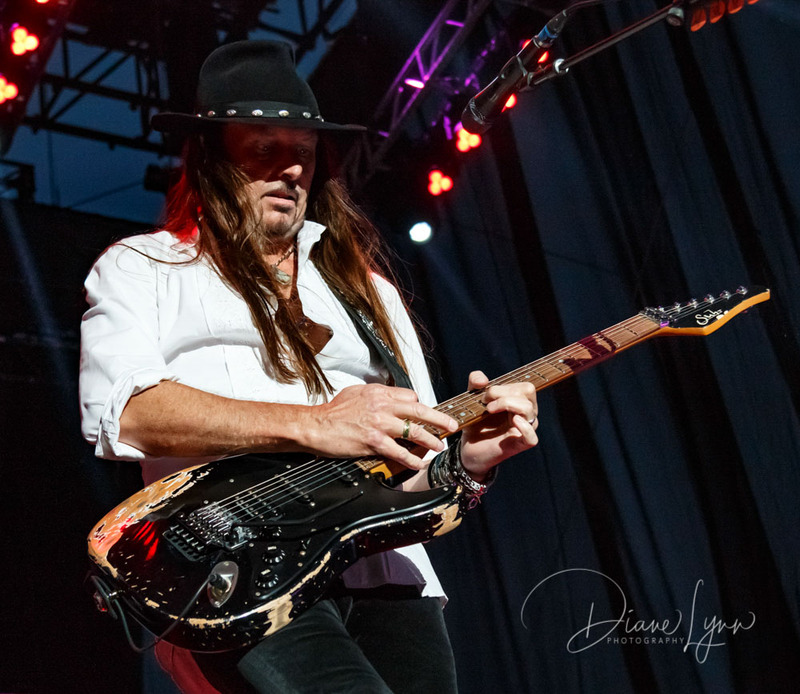 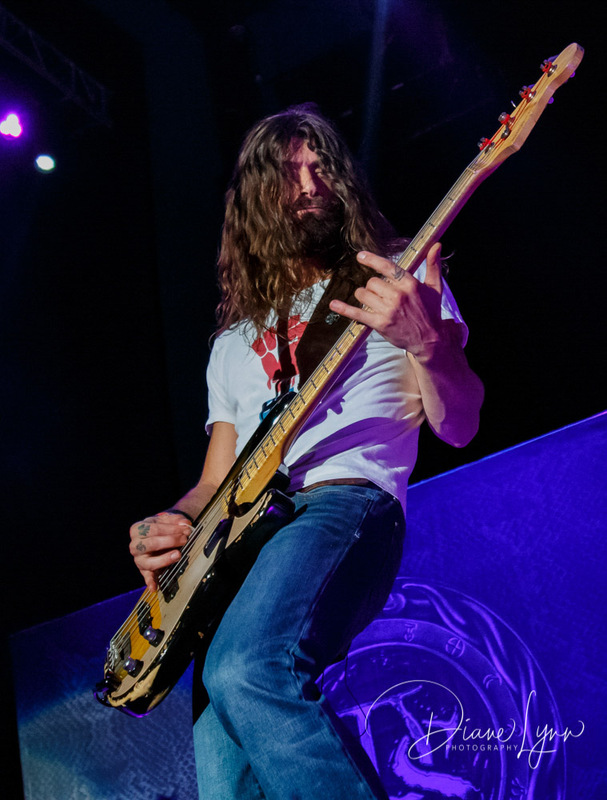 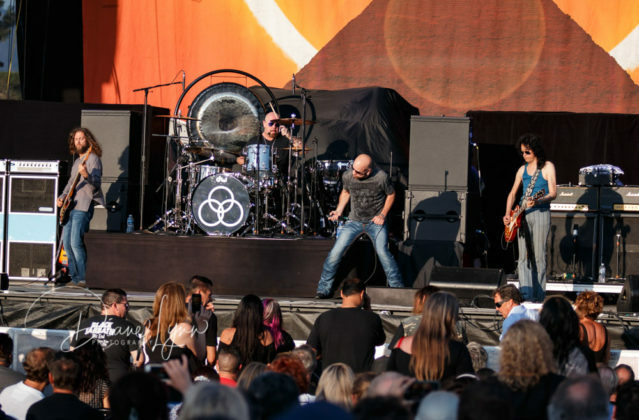 It was a hot August night and one of the most anticipated rock shows finally made its way to Irvine, Ca. Ending its 29 stop Summer tour at the beautiful Five Points Amphitheater. 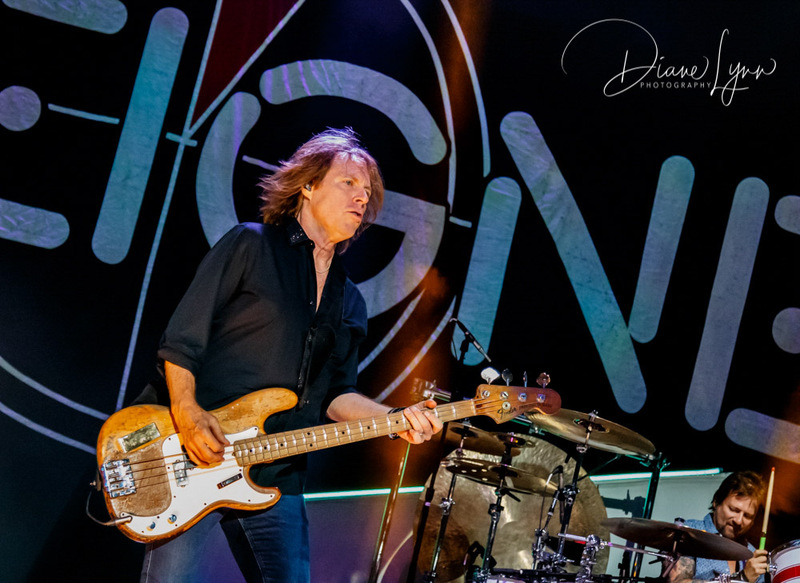 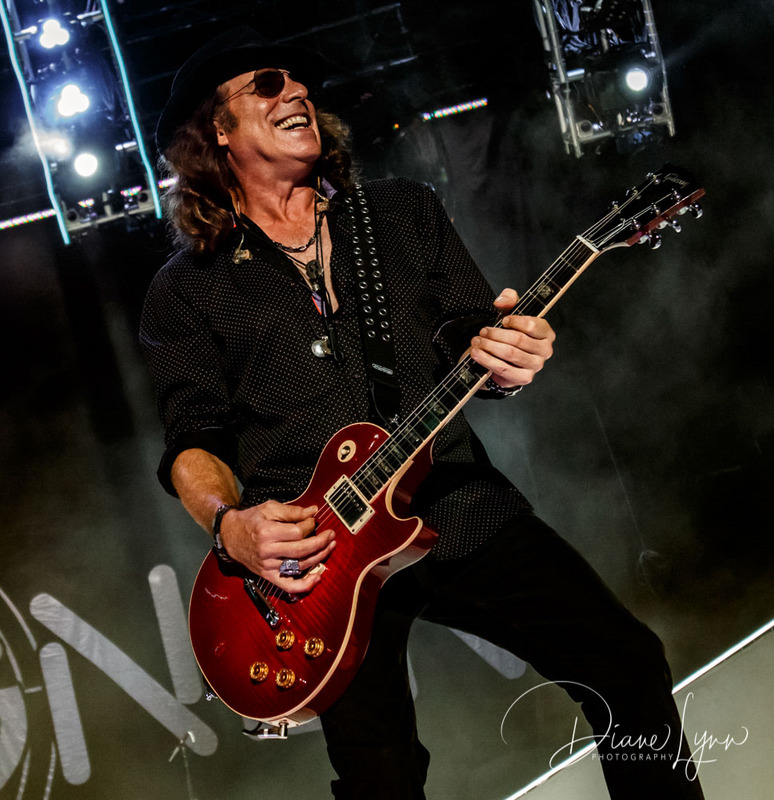 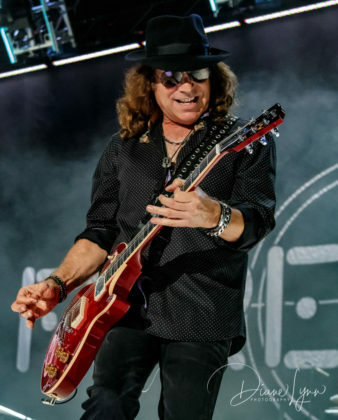 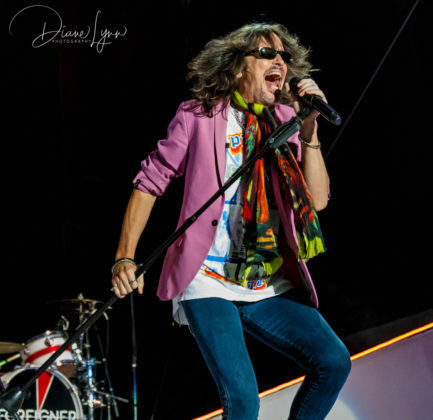 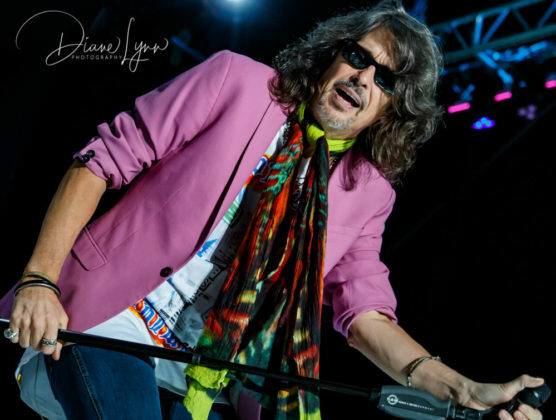 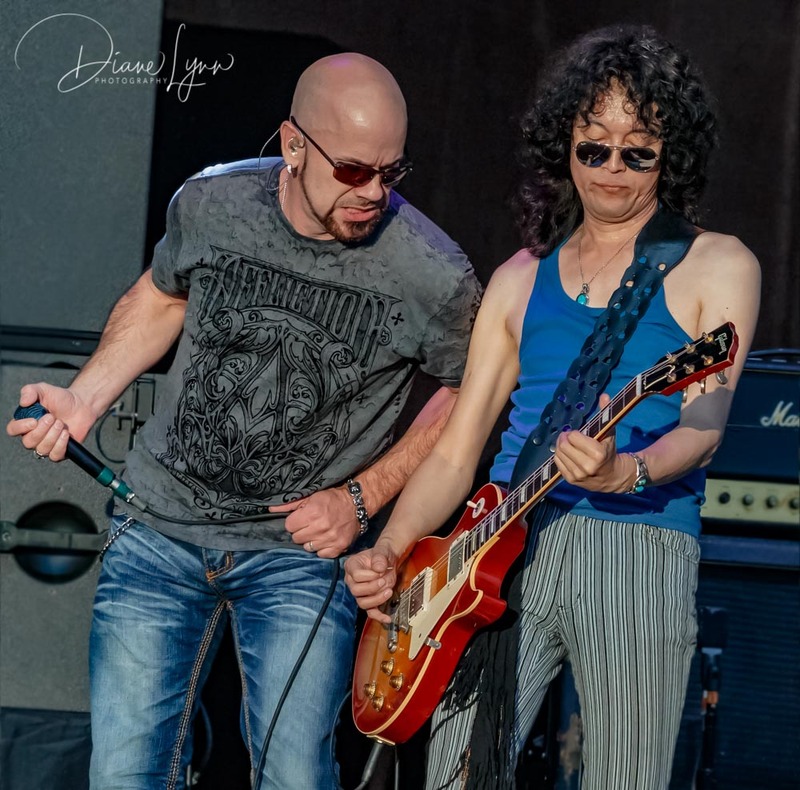 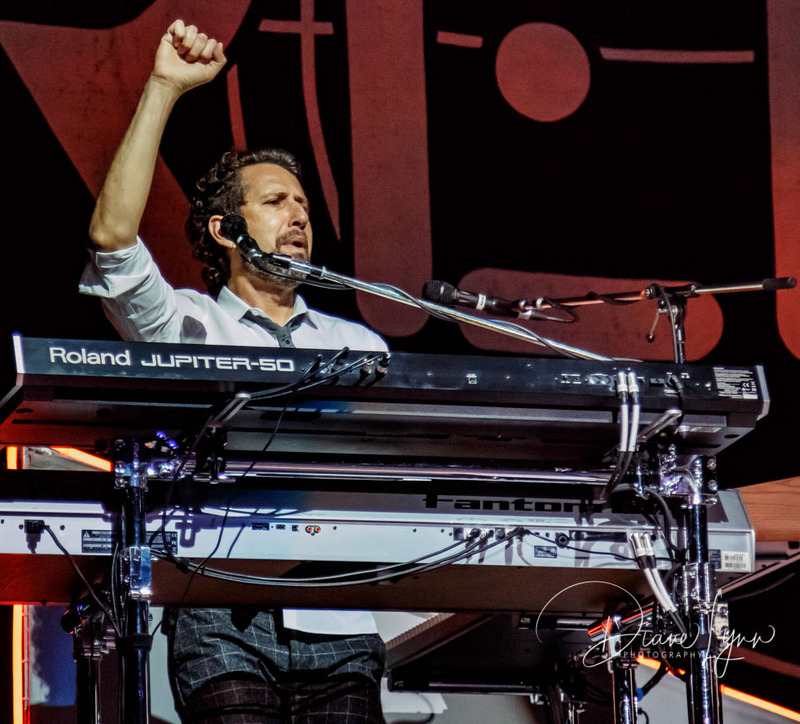 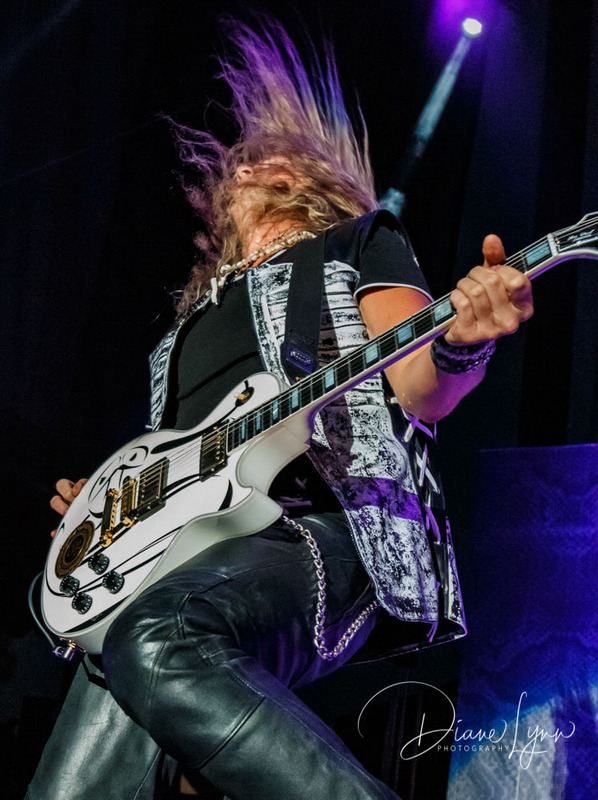 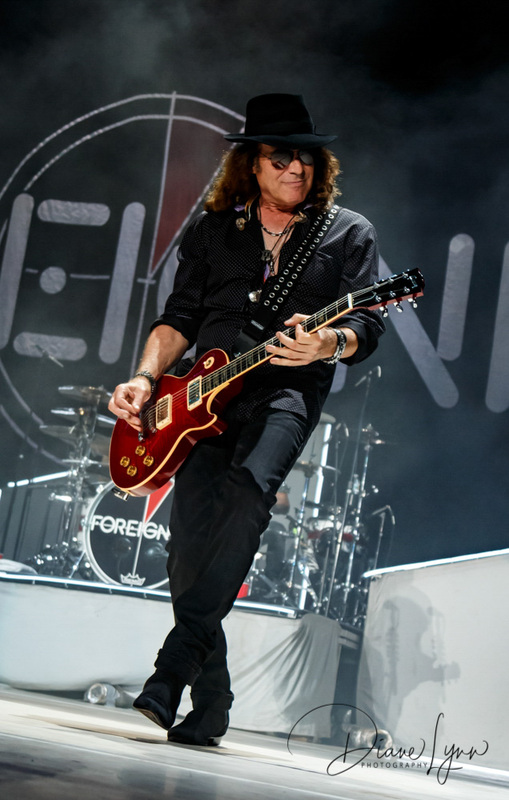 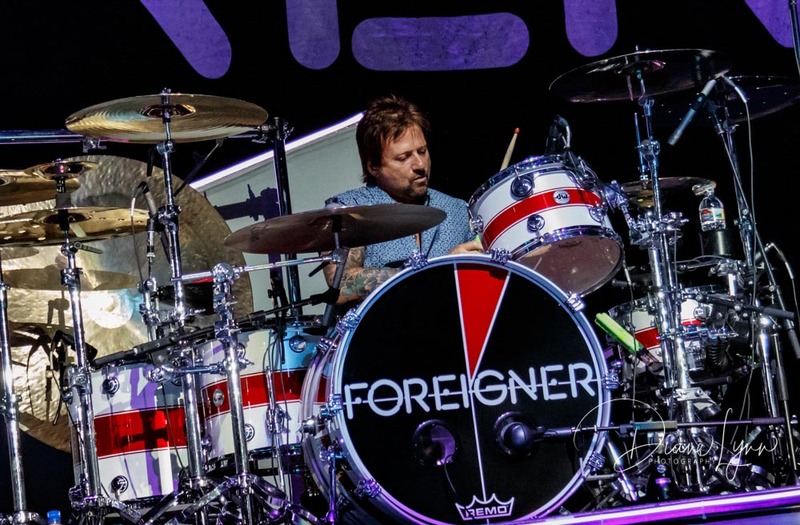 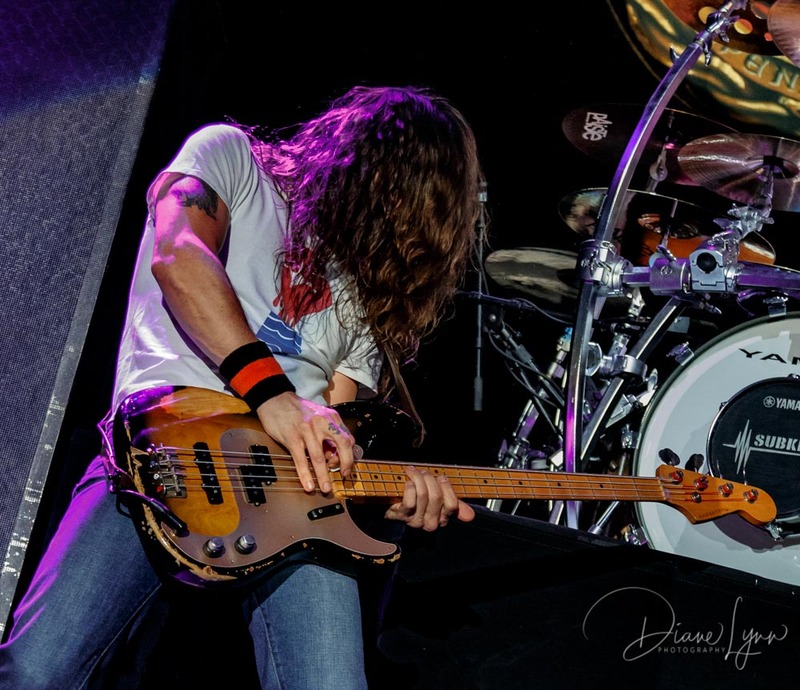 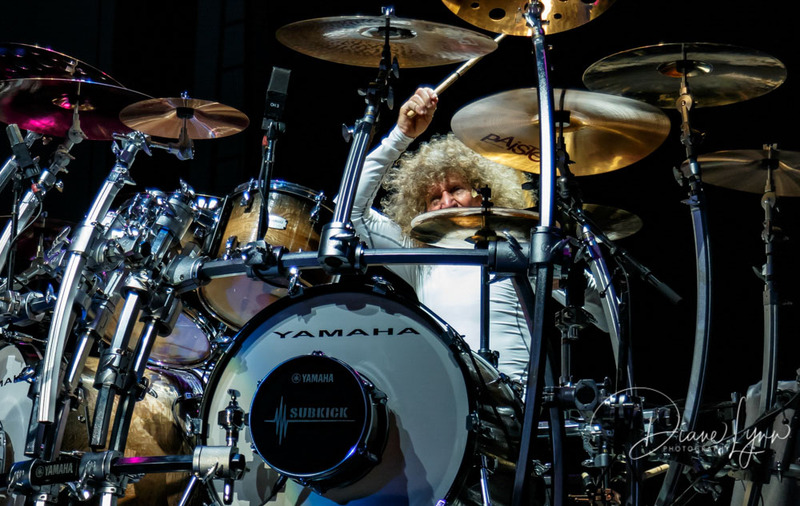 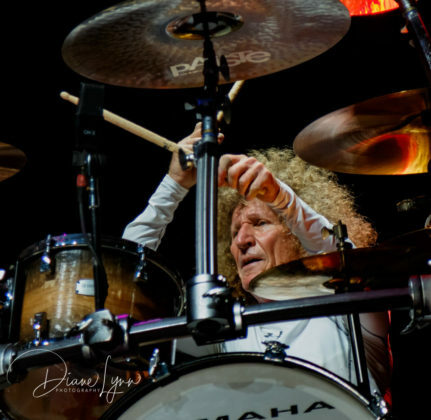 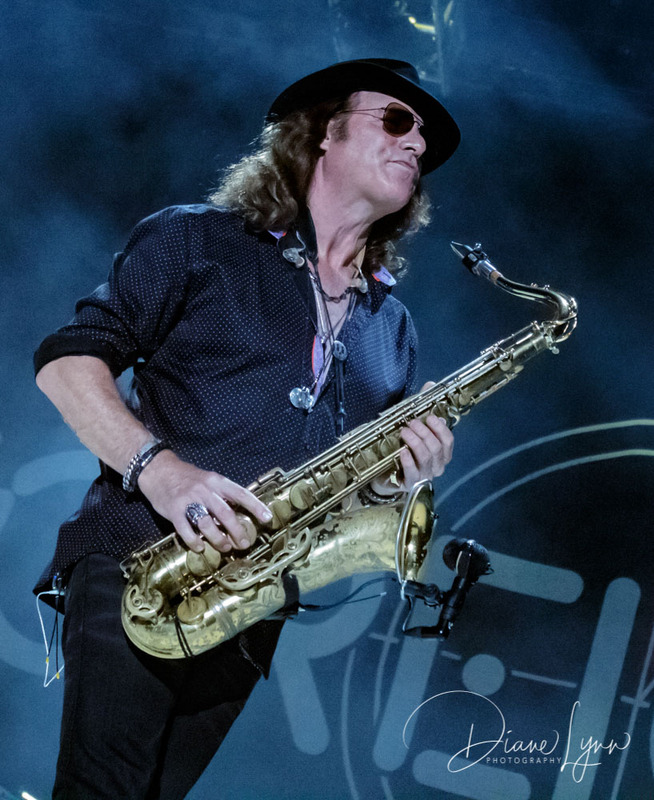 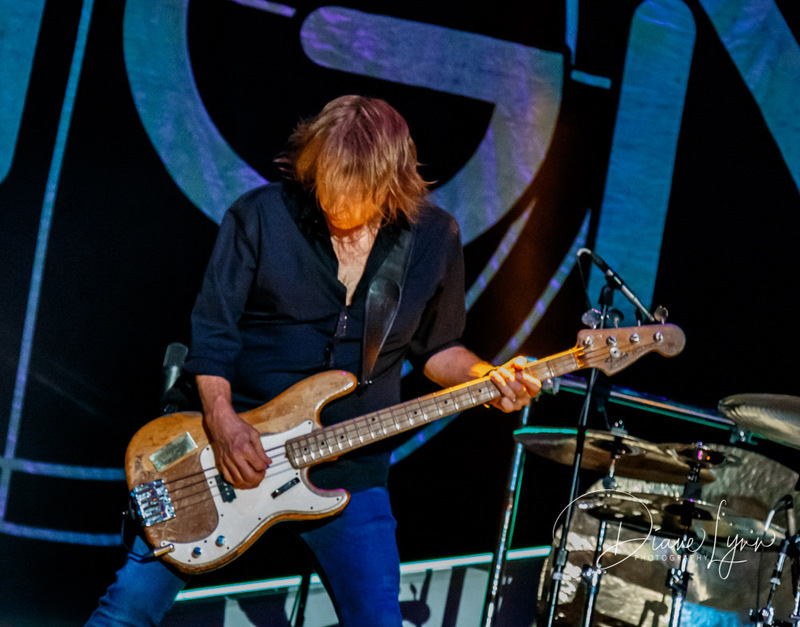 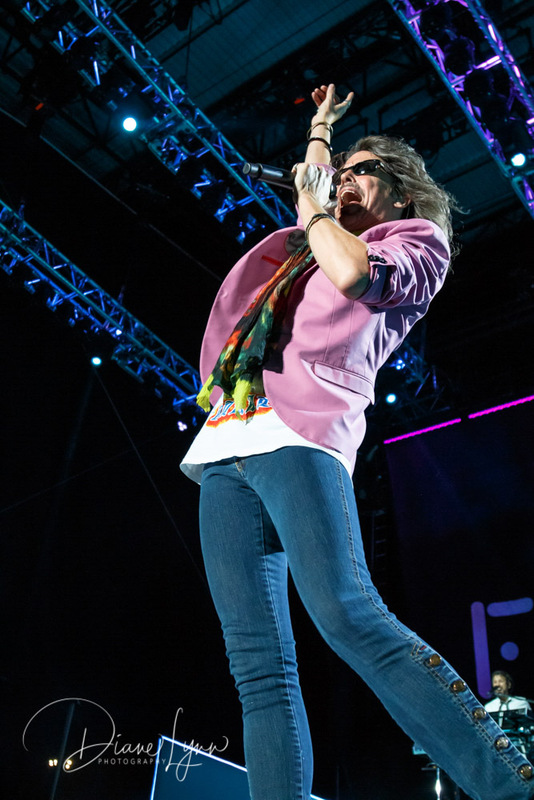 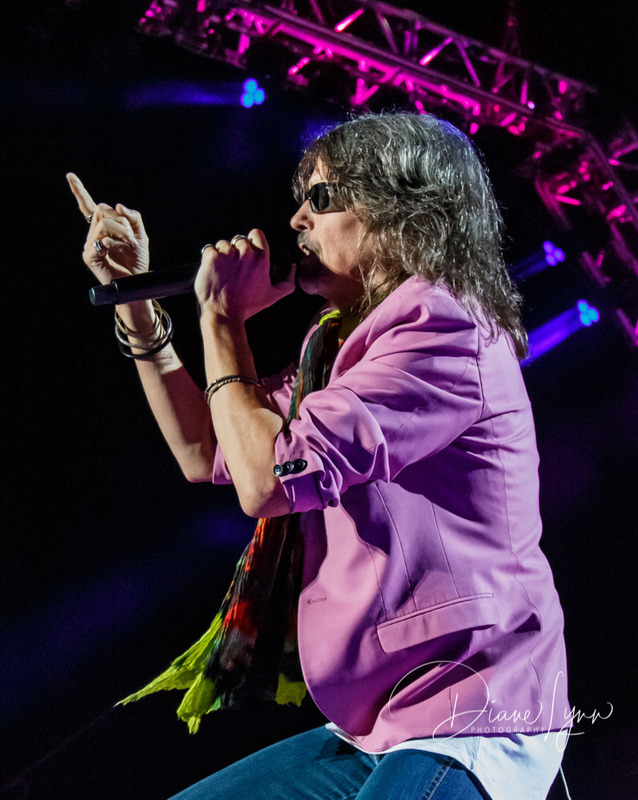 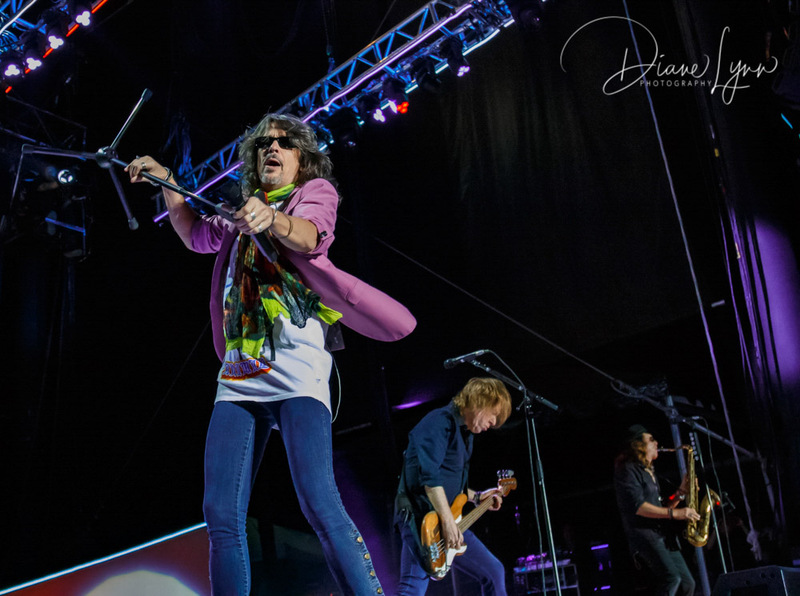 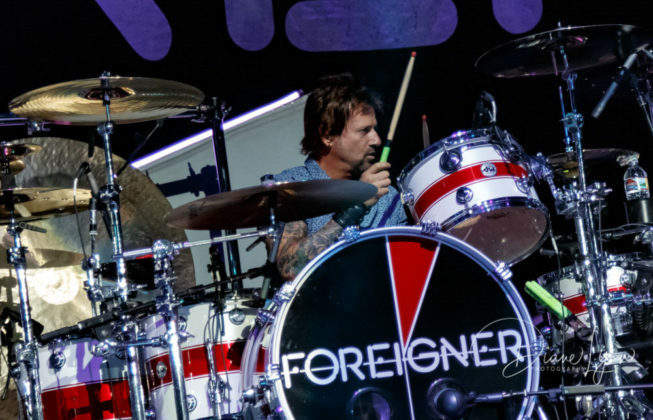 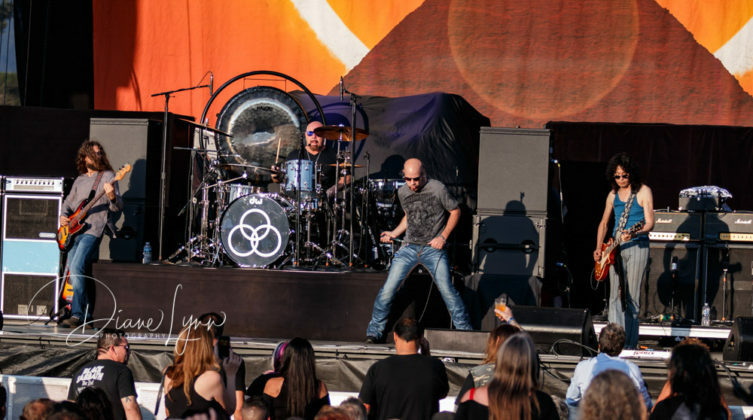 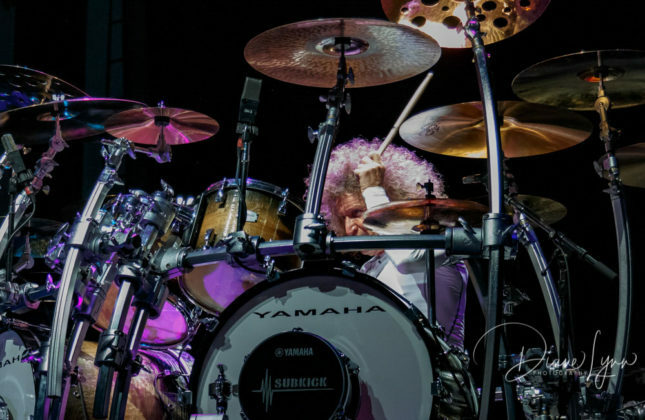 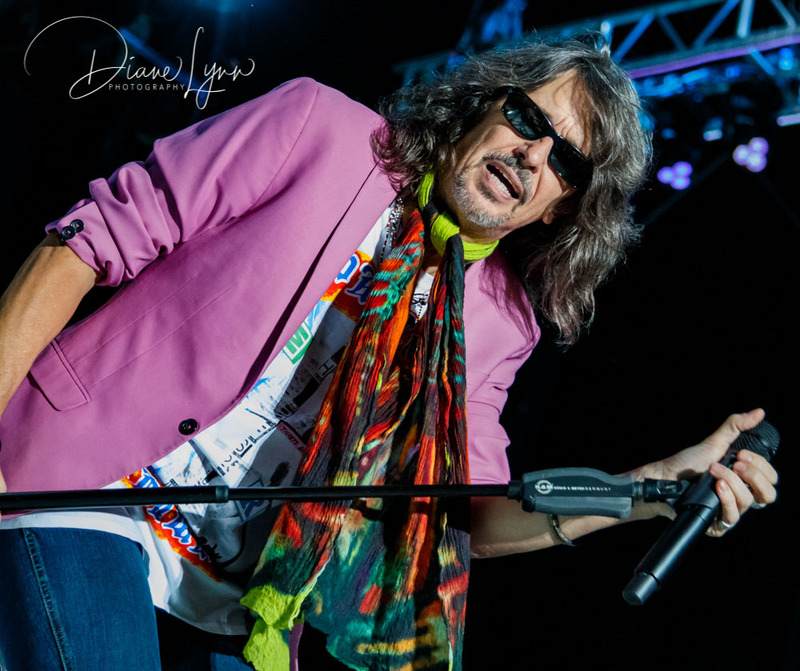 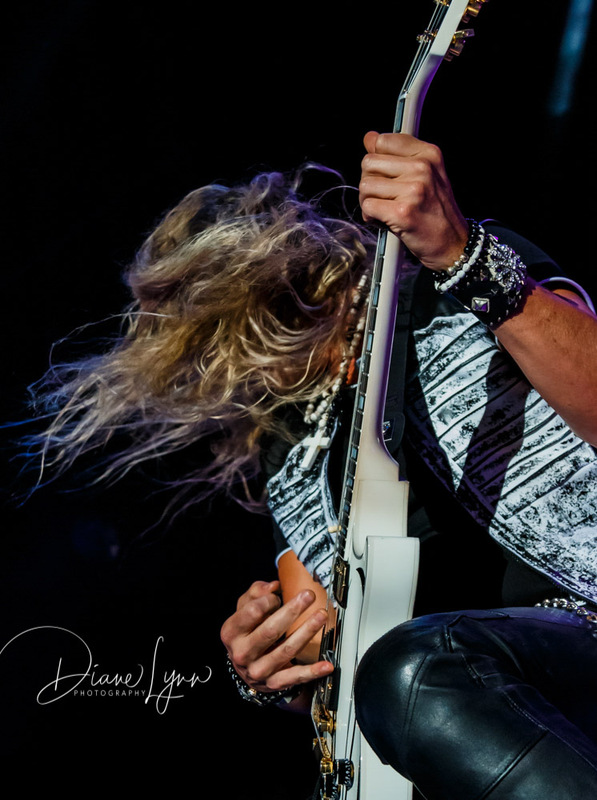 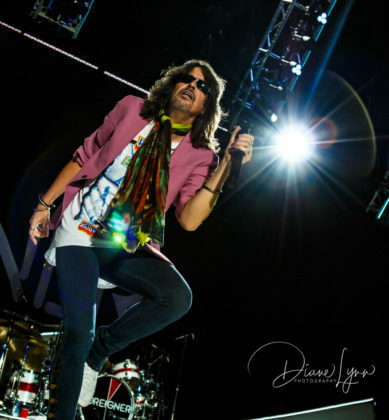 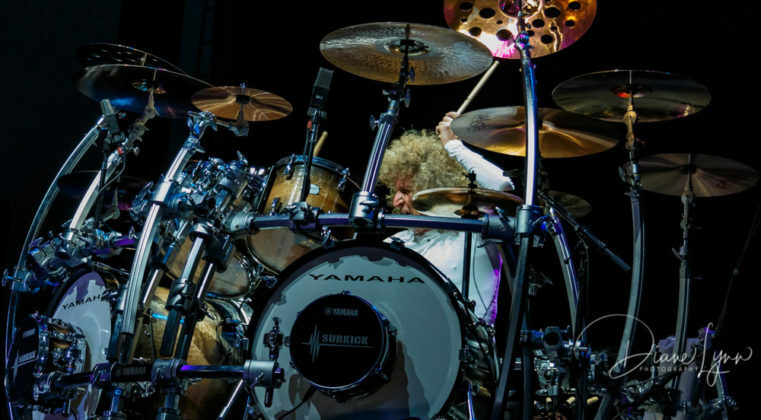 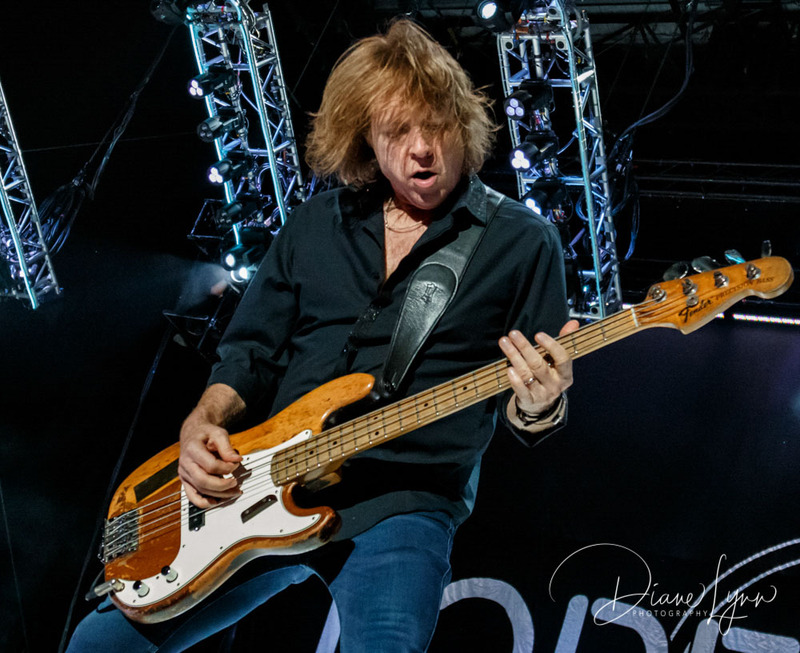 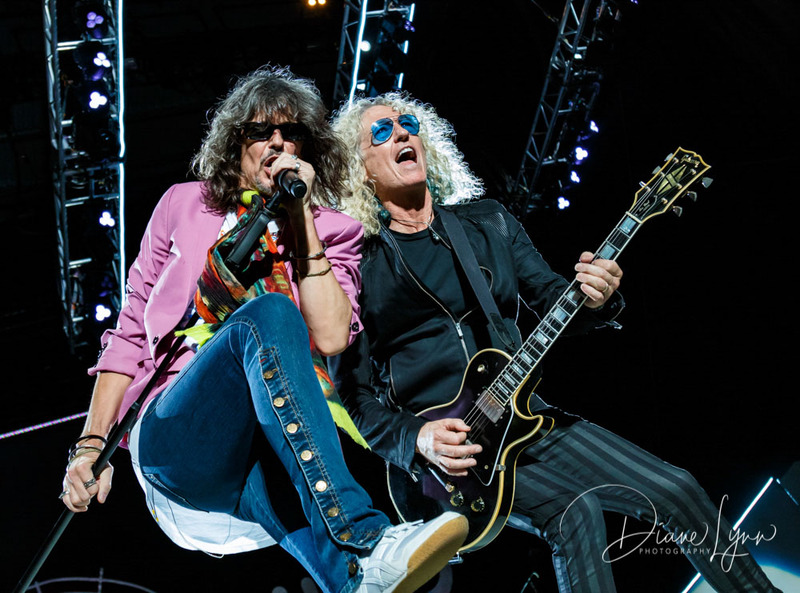 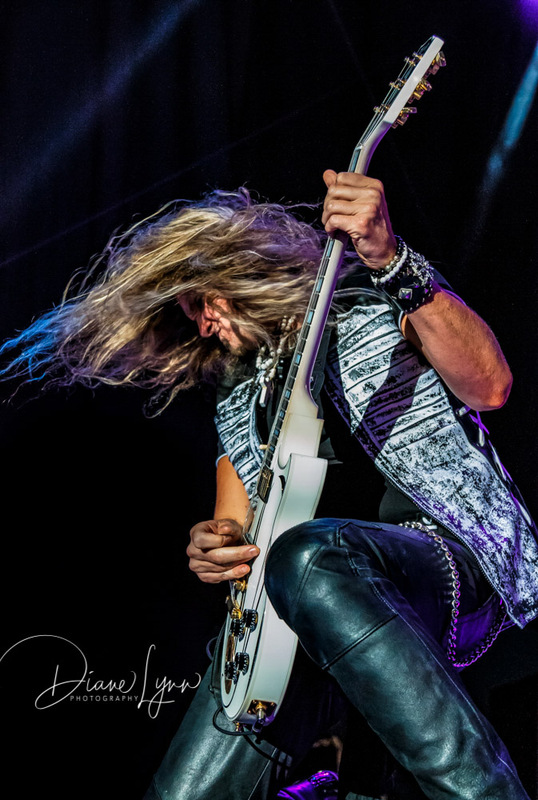 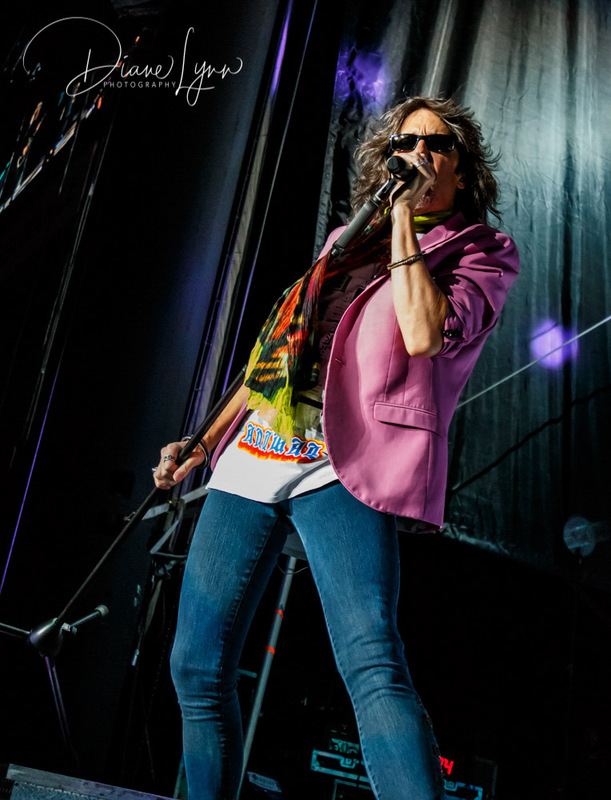 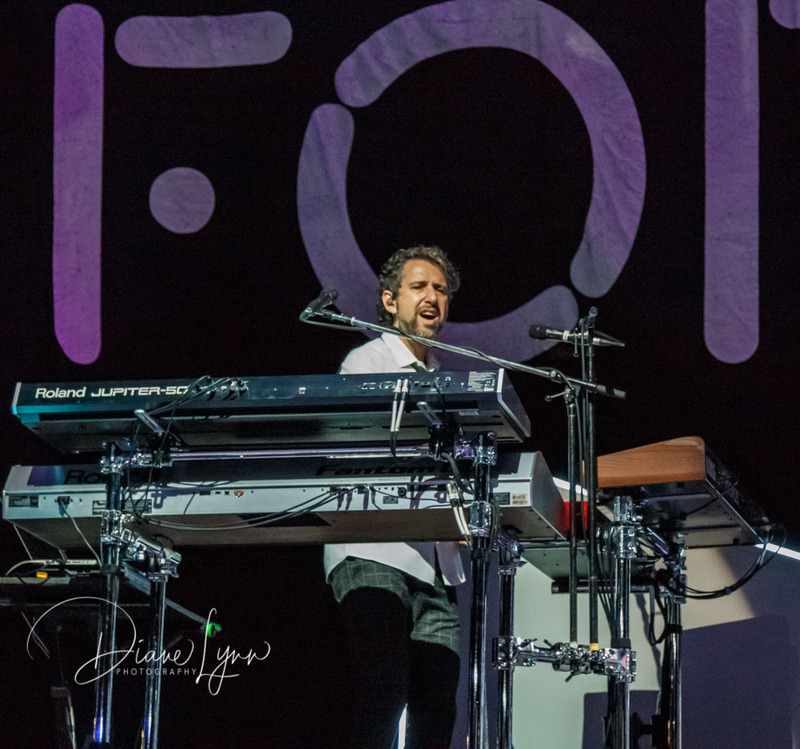 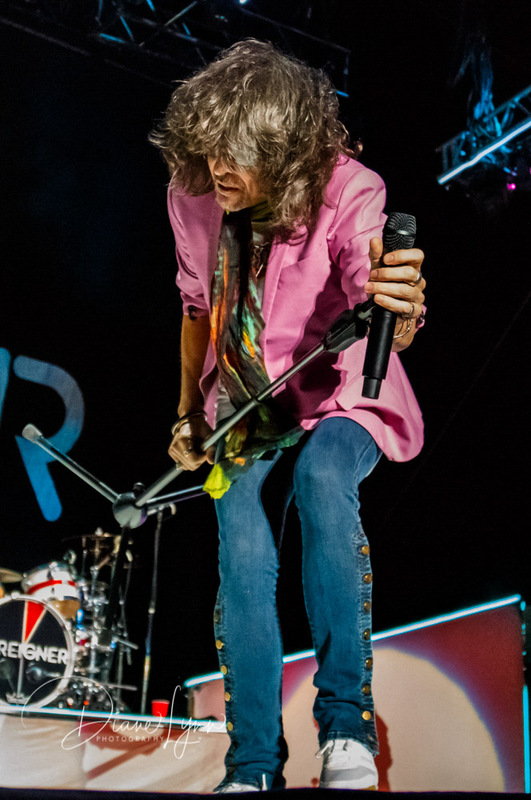 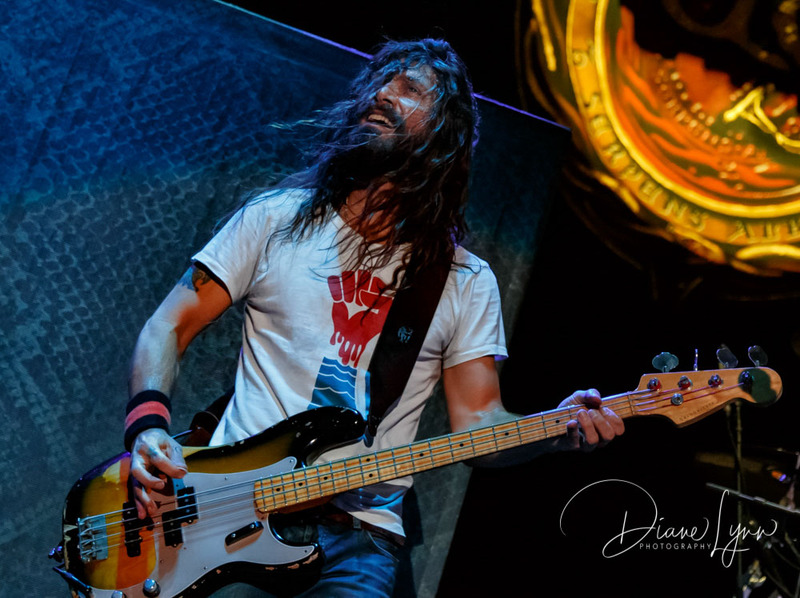 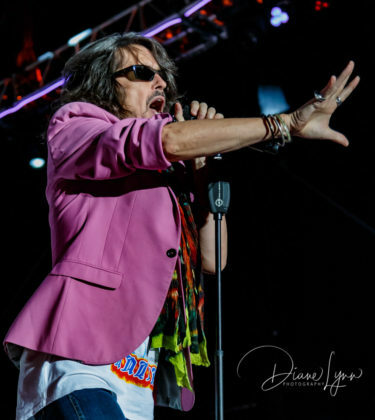 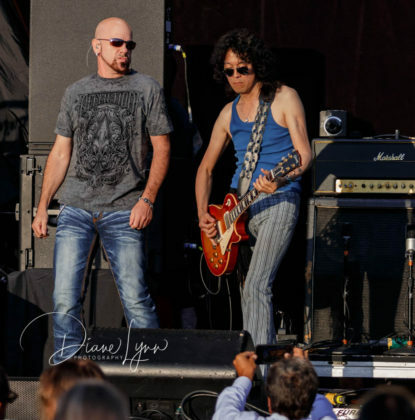 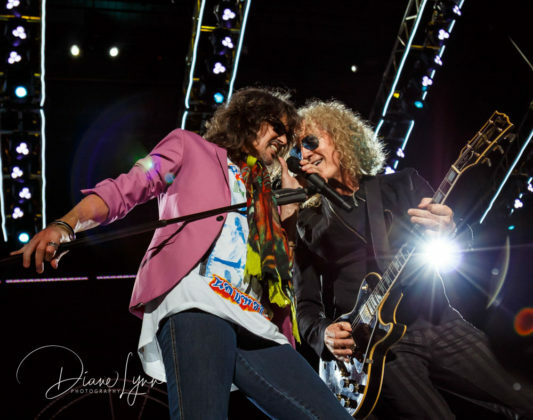 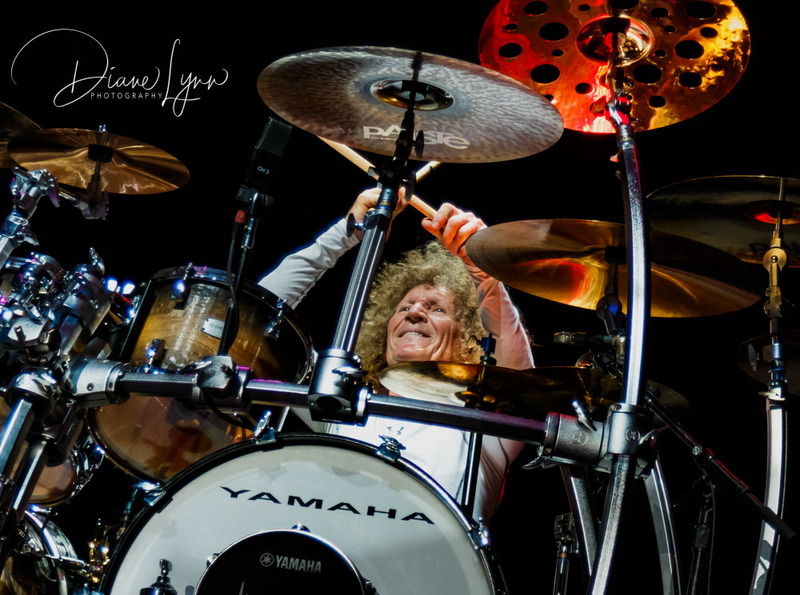 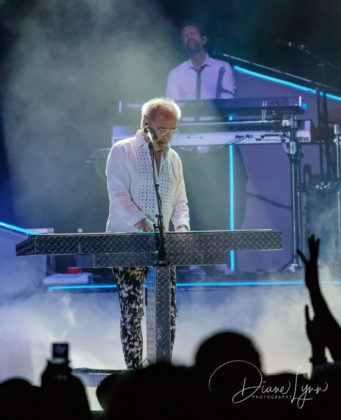 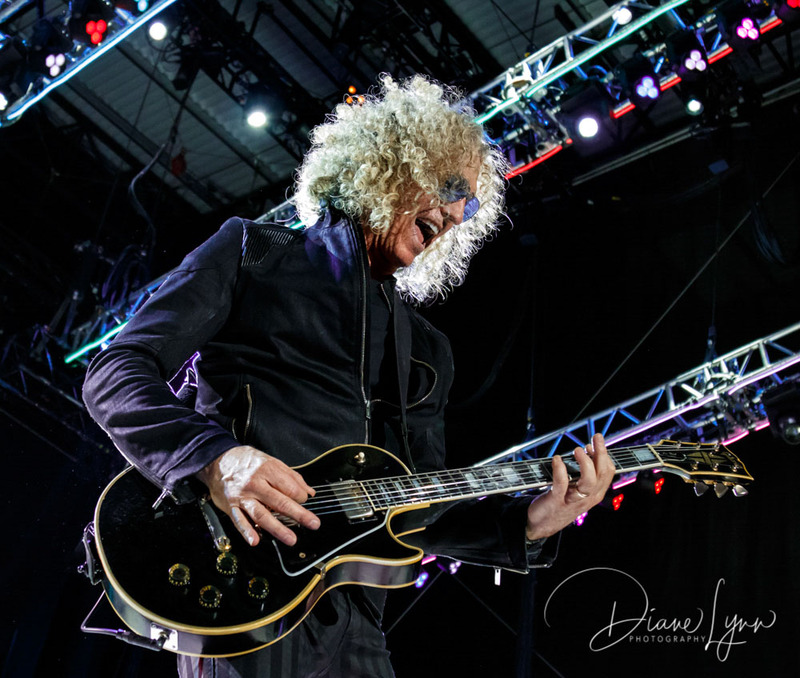 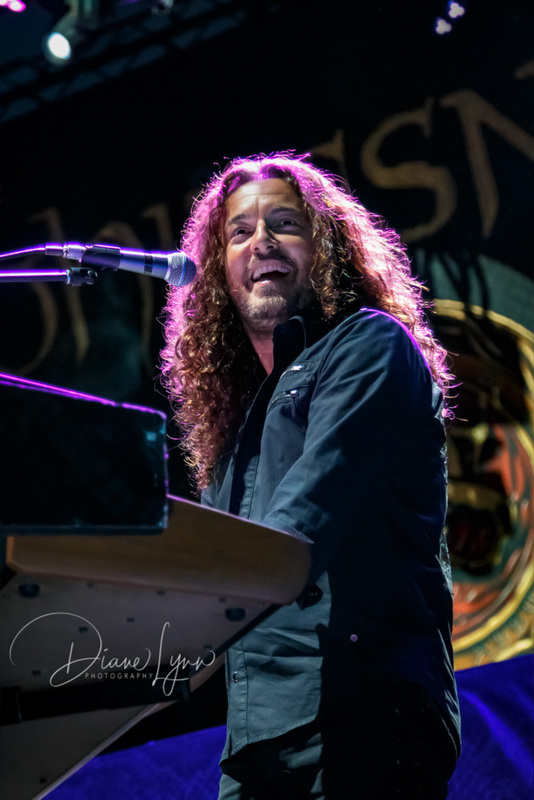 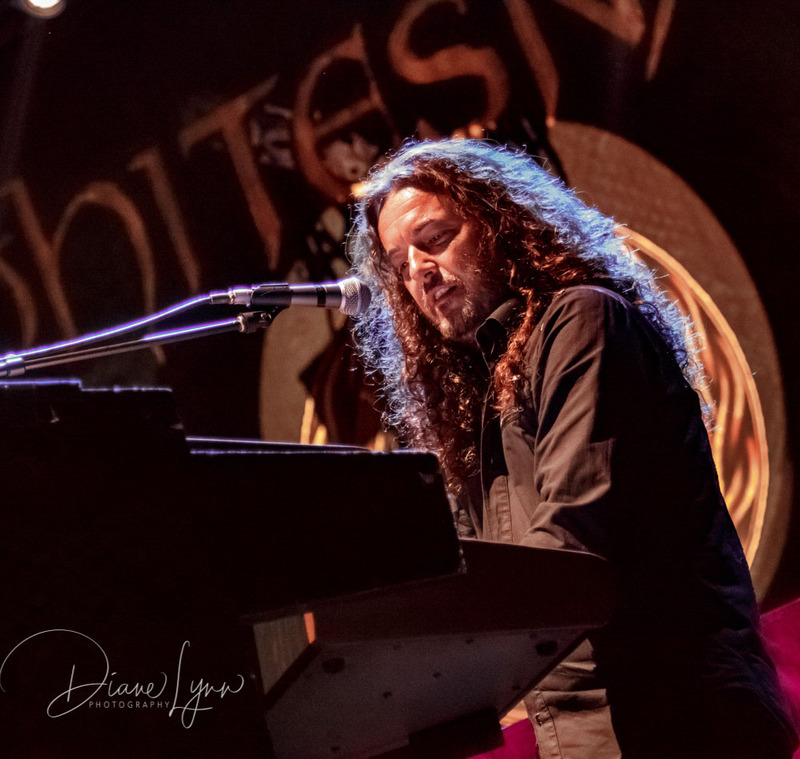 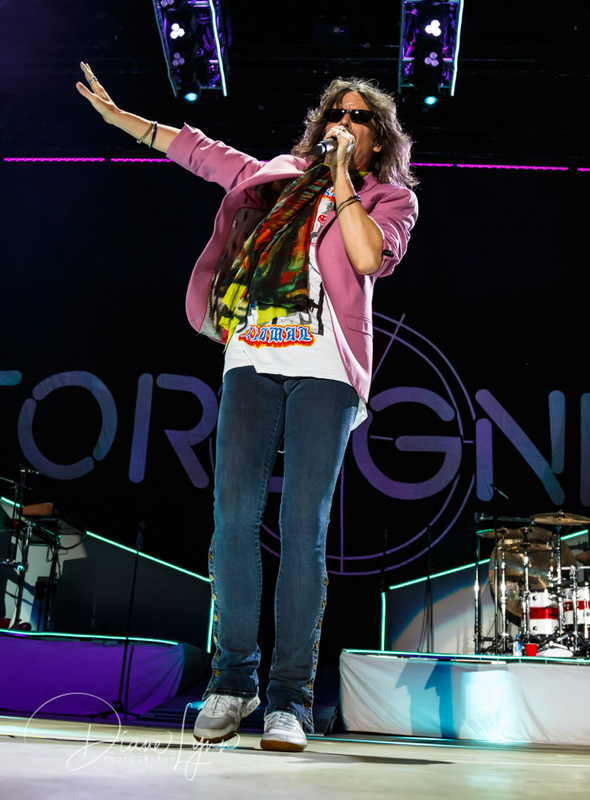 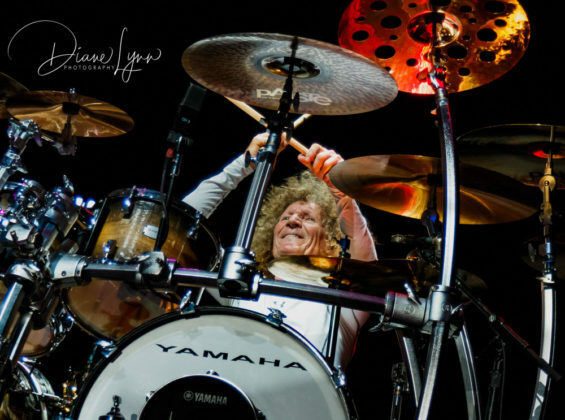 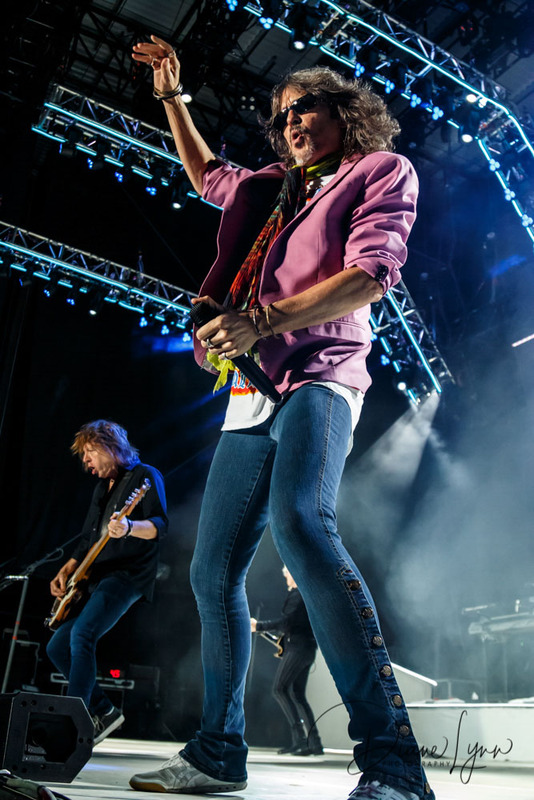 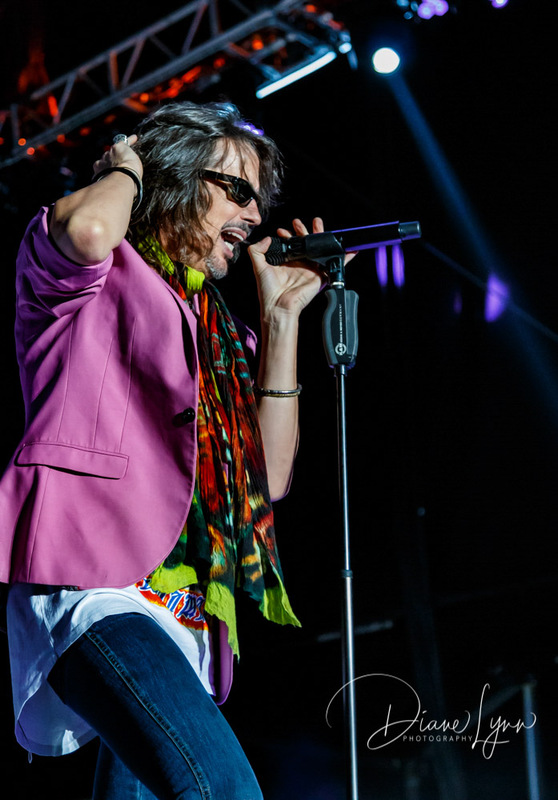 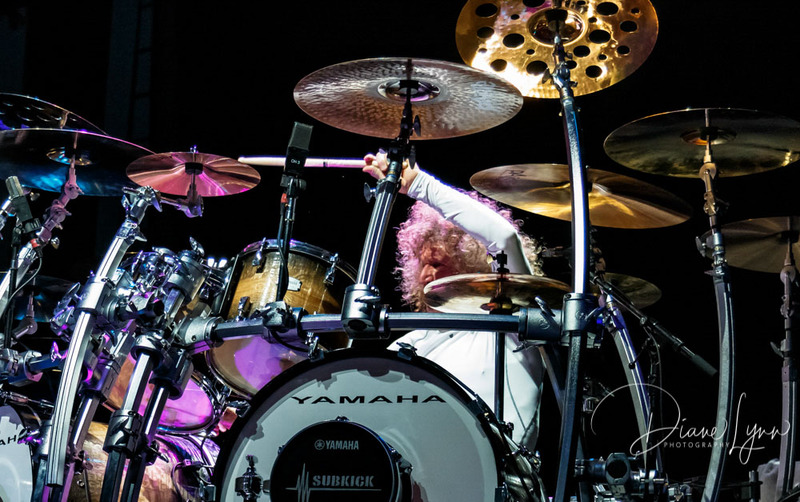 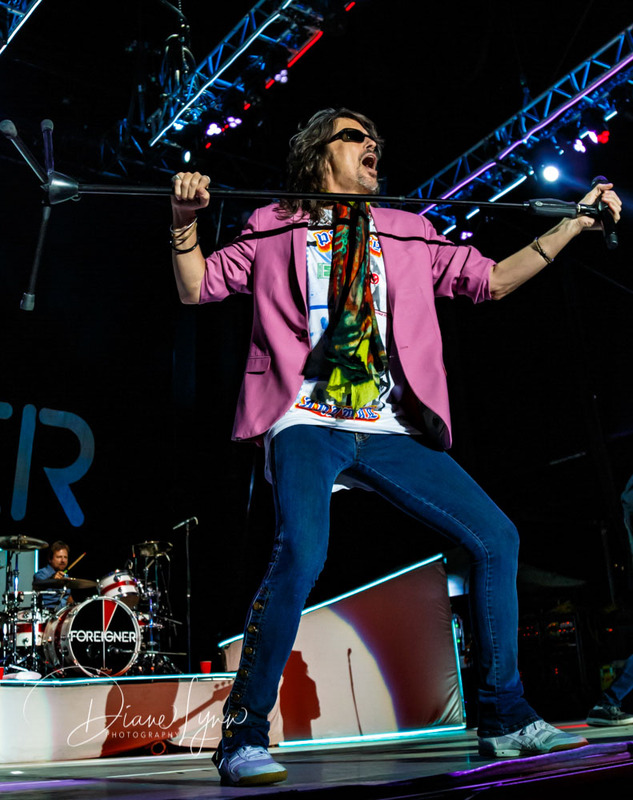 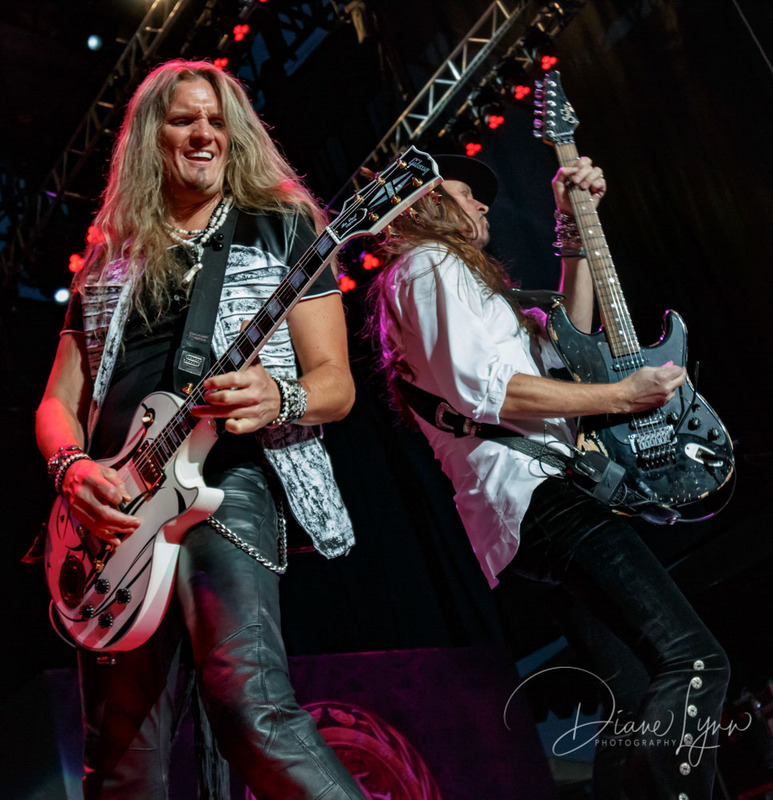 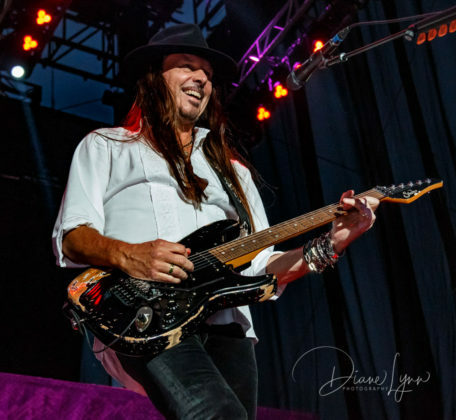 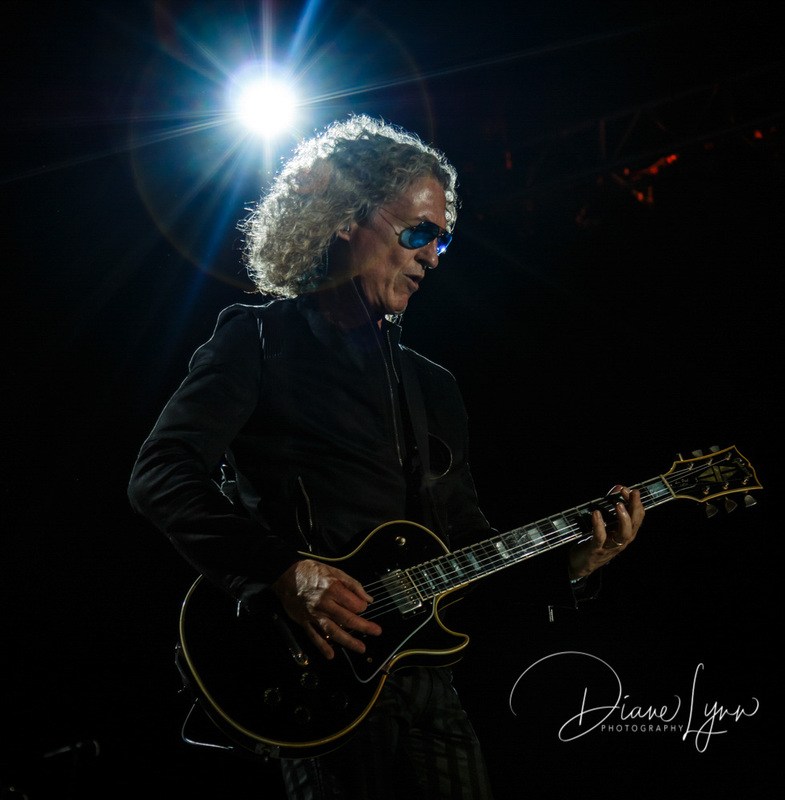 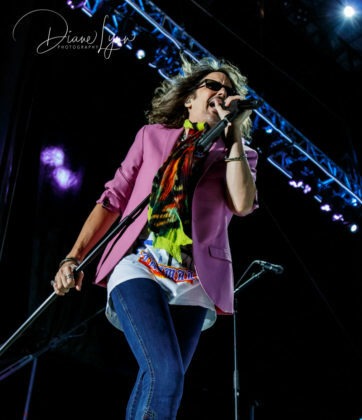 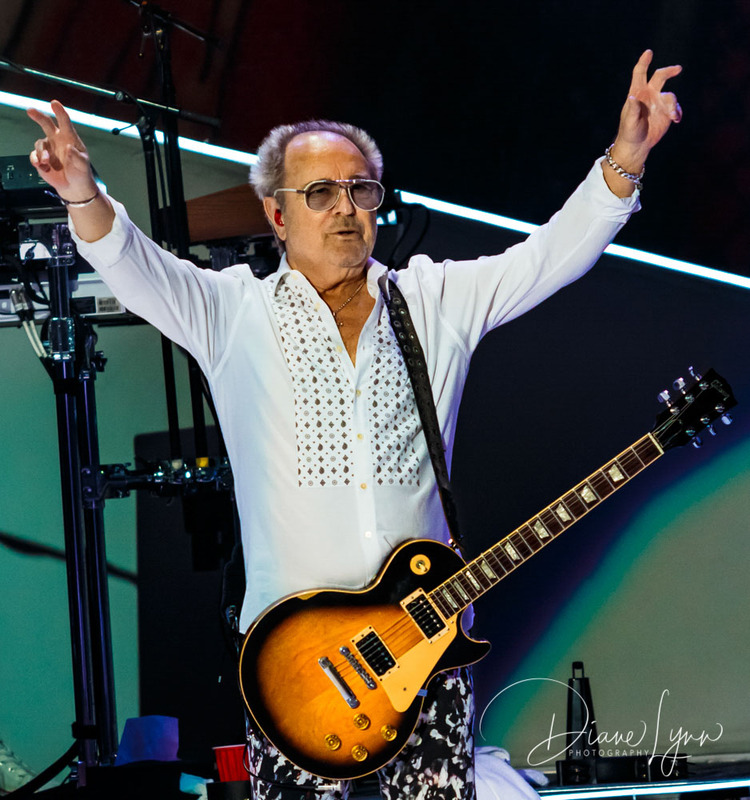 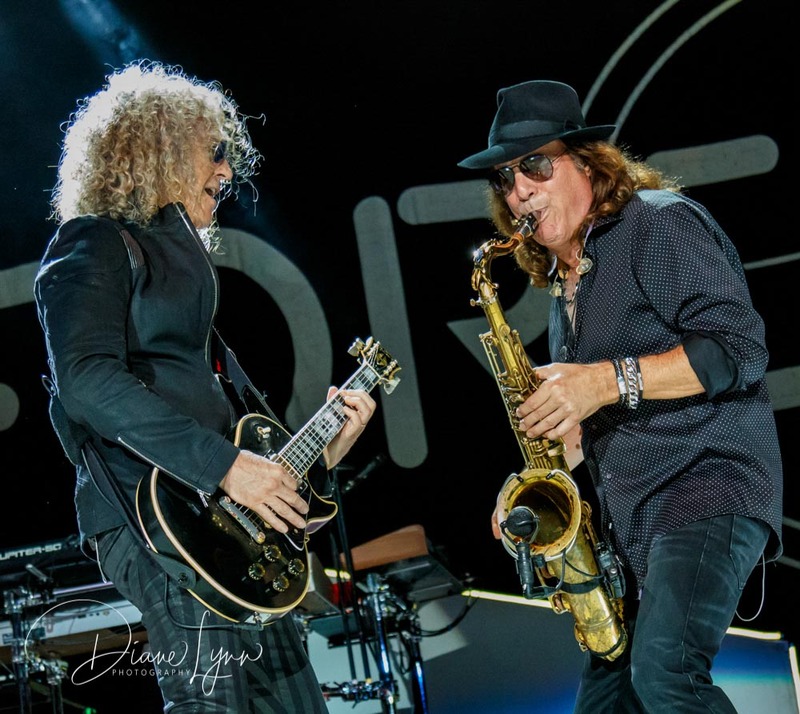 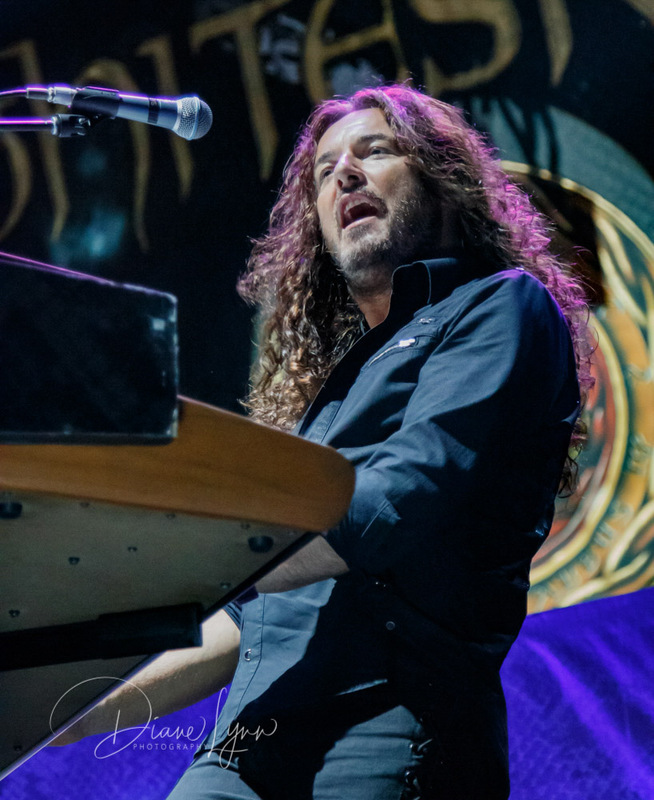 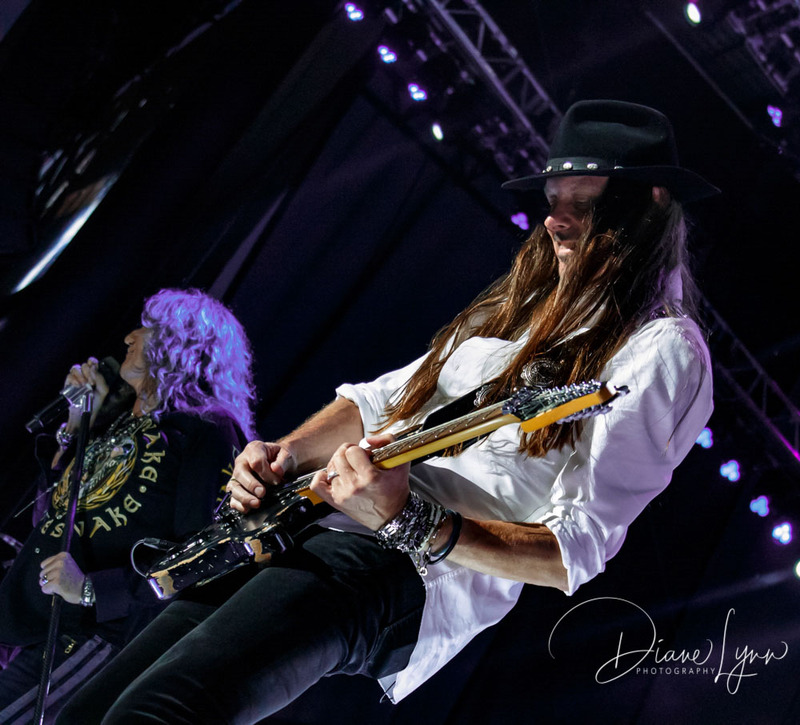 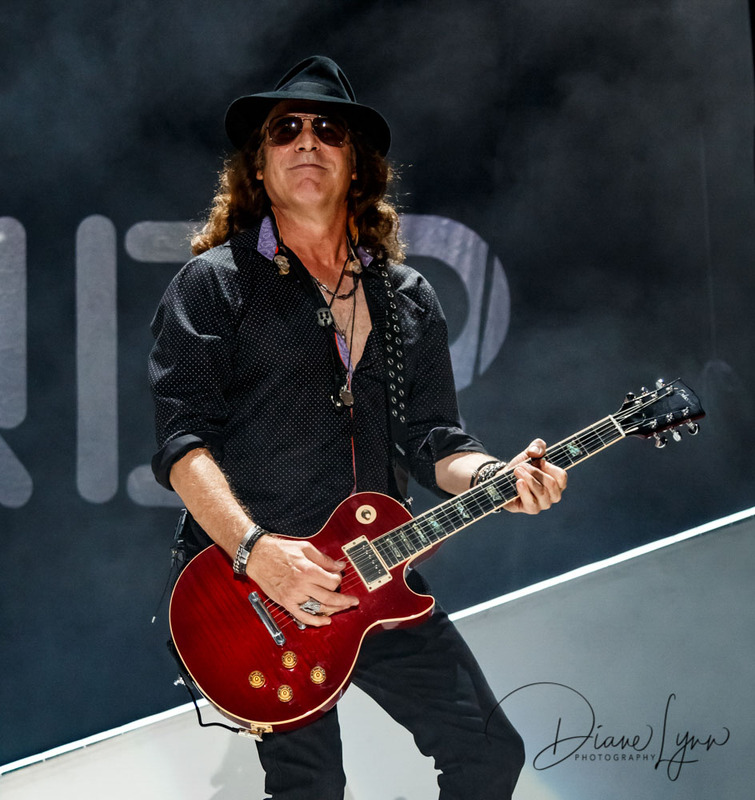 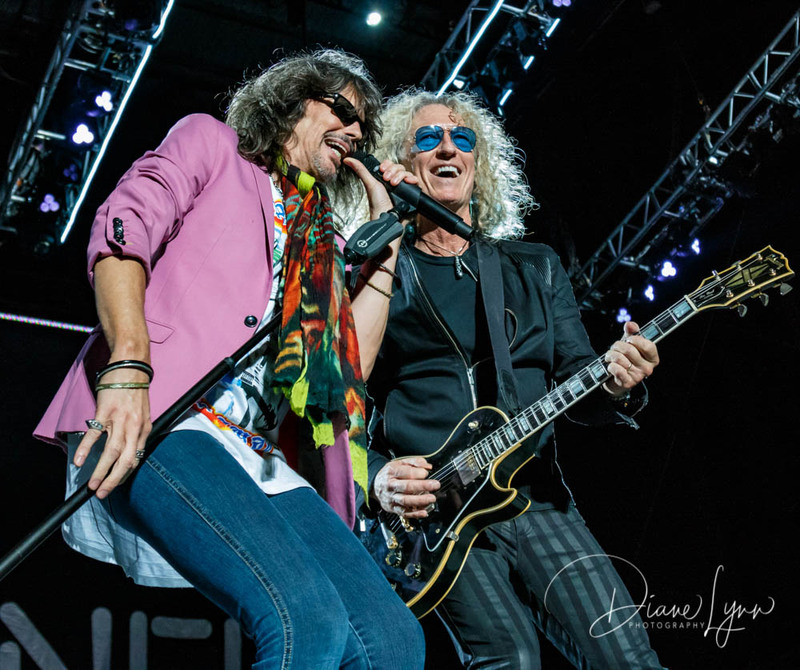 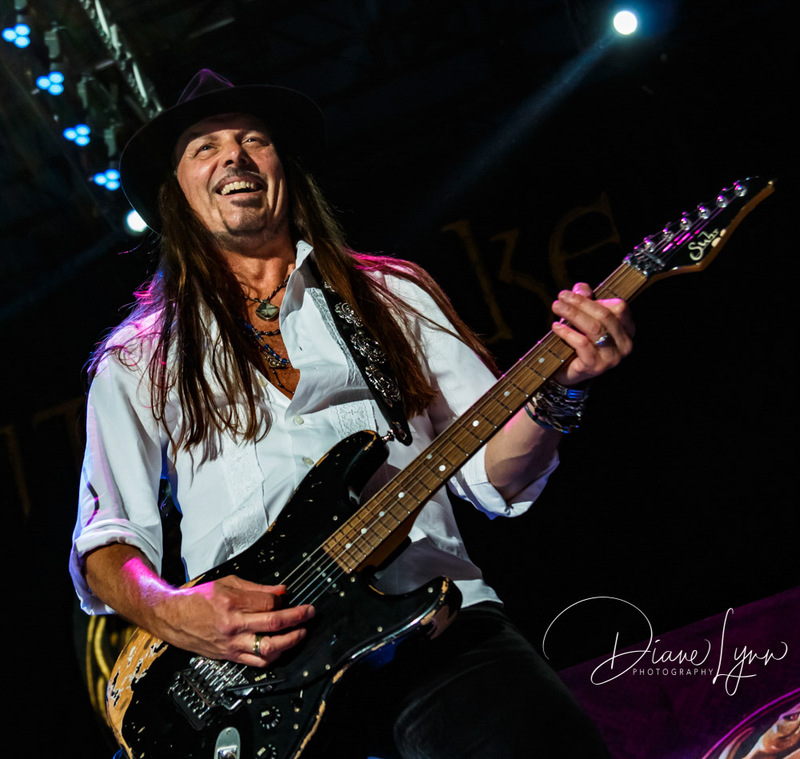 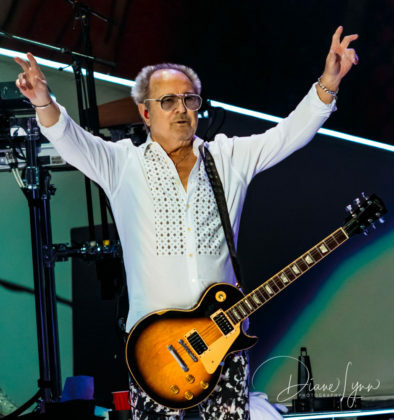 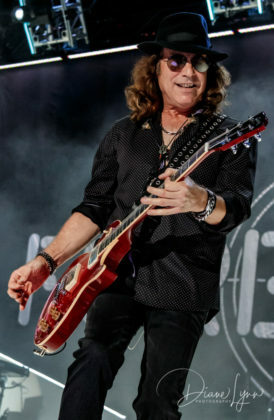 Foreigner, Whitesnake and Jason Bonham’s Led Zeppelin Evening joined forces and have been bringing their triple header show to the fans since mid-June, rockin’ their way across America! 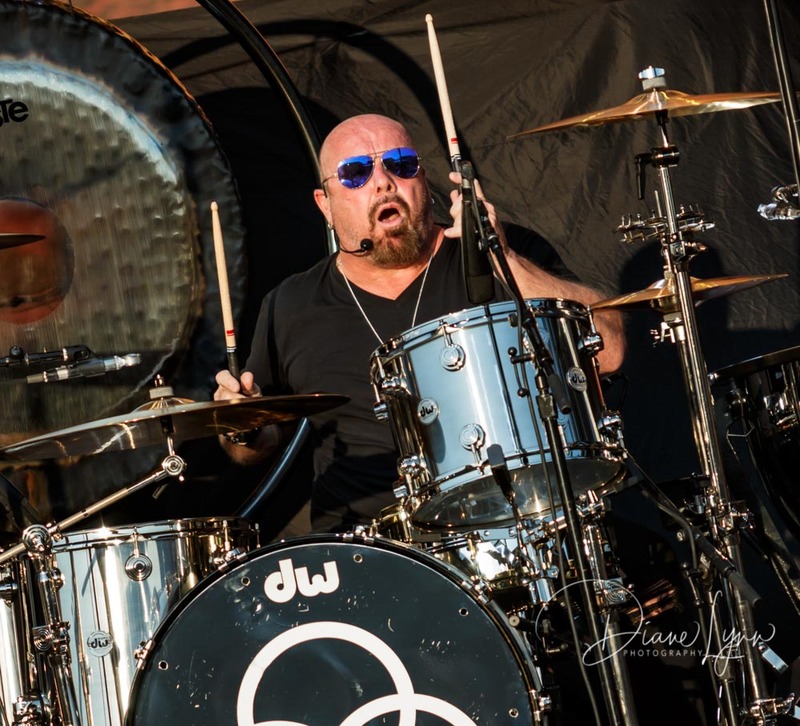 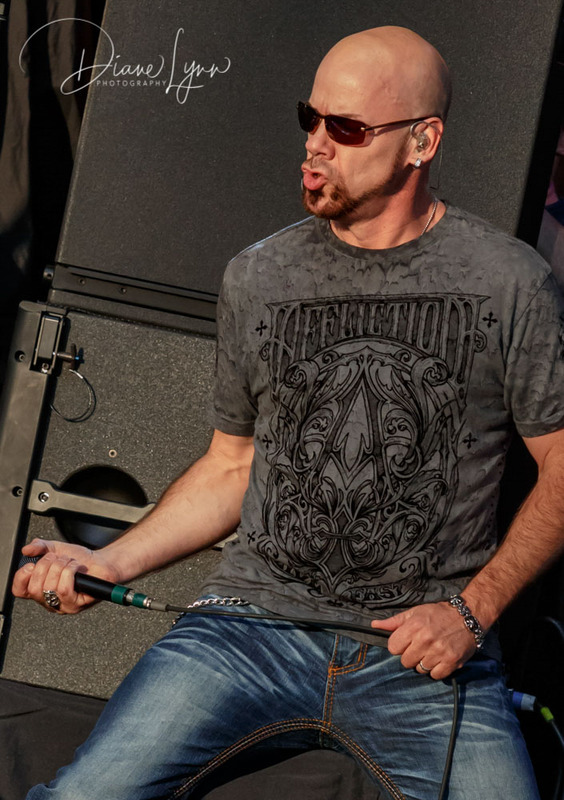 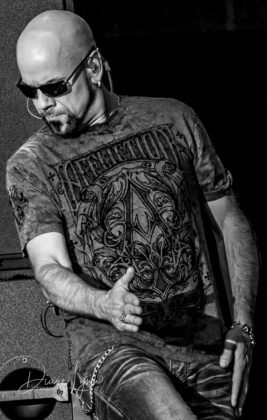 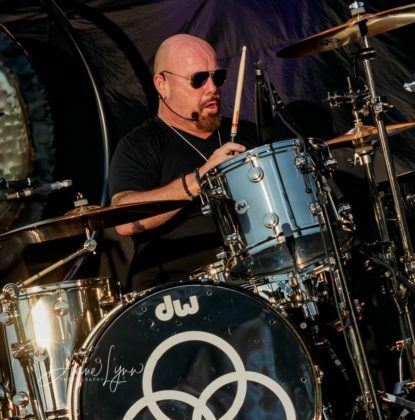 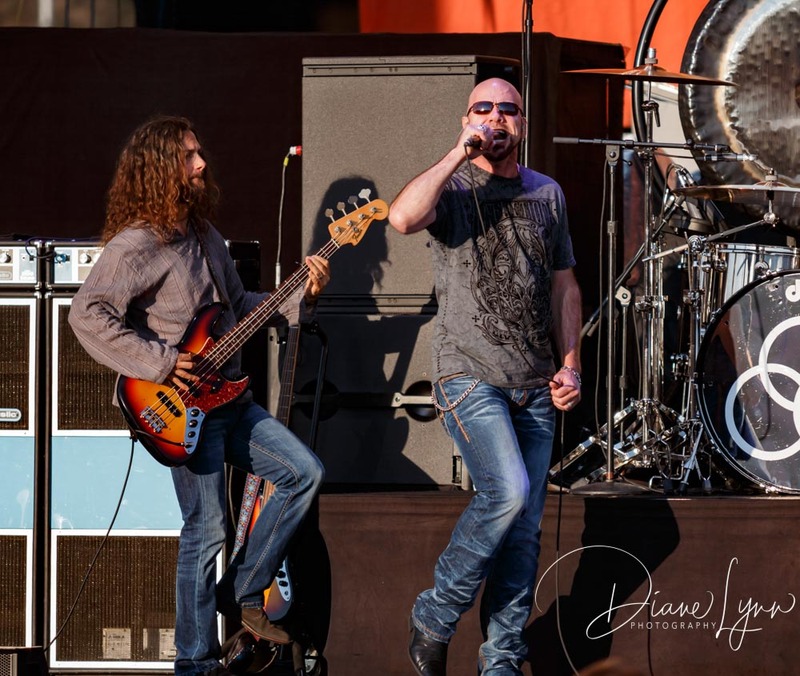 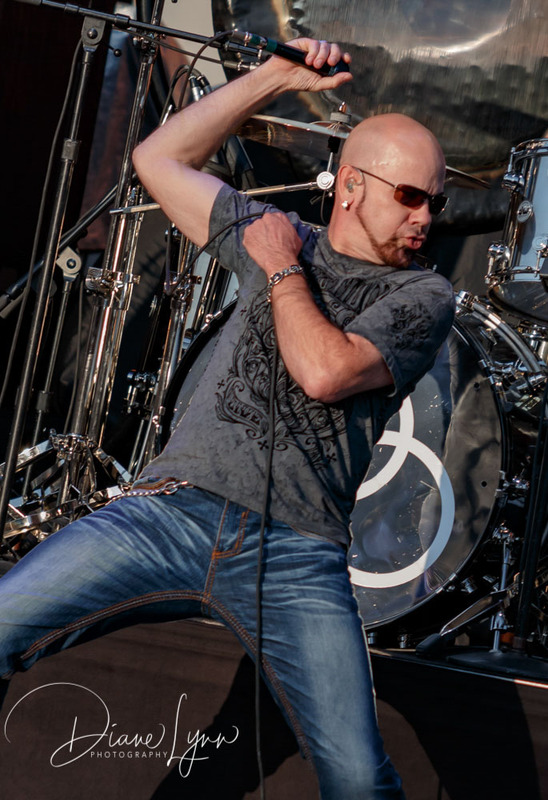 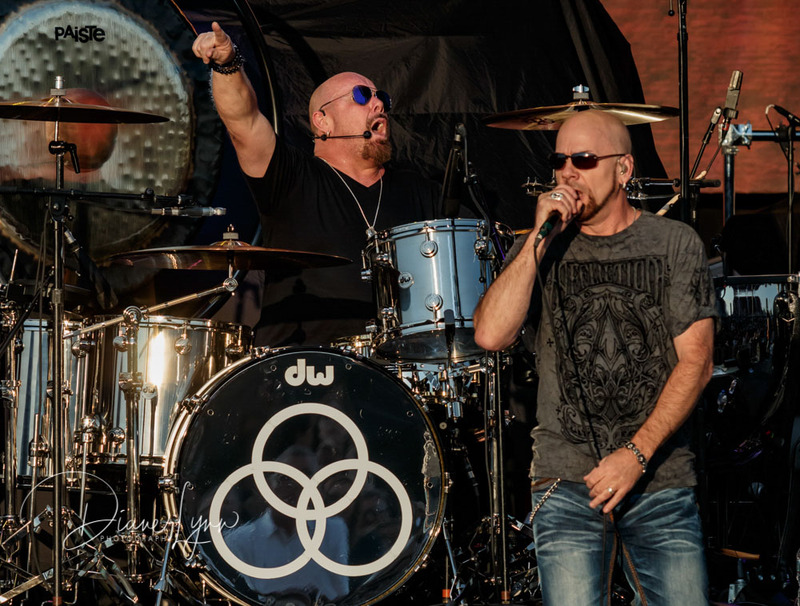 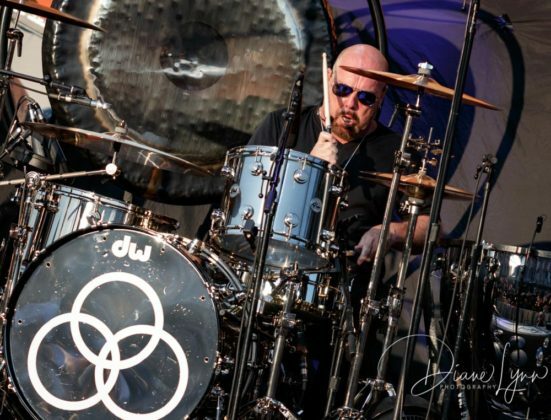 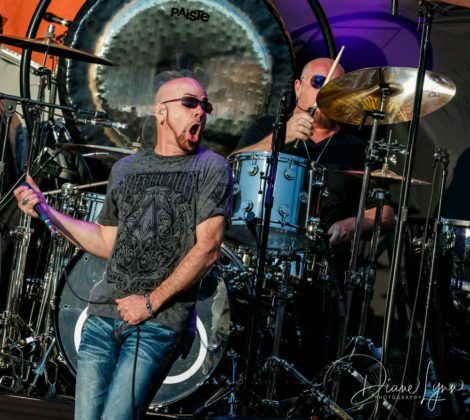 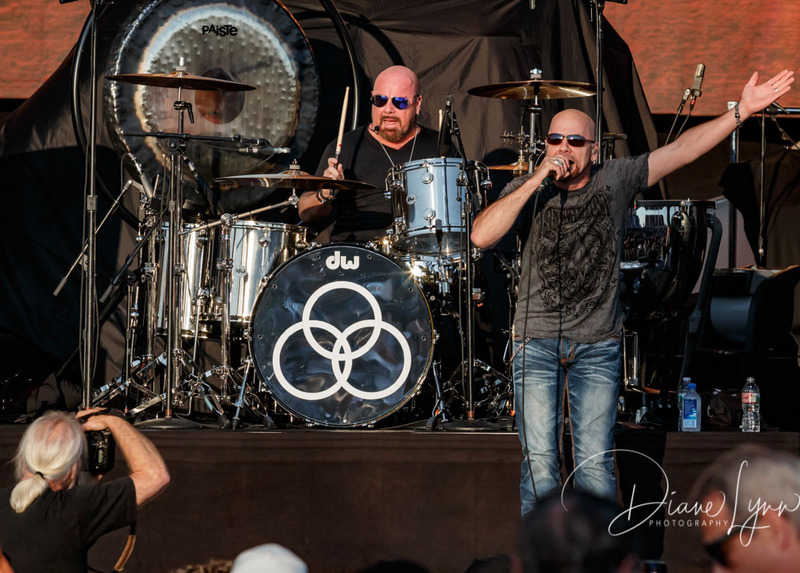 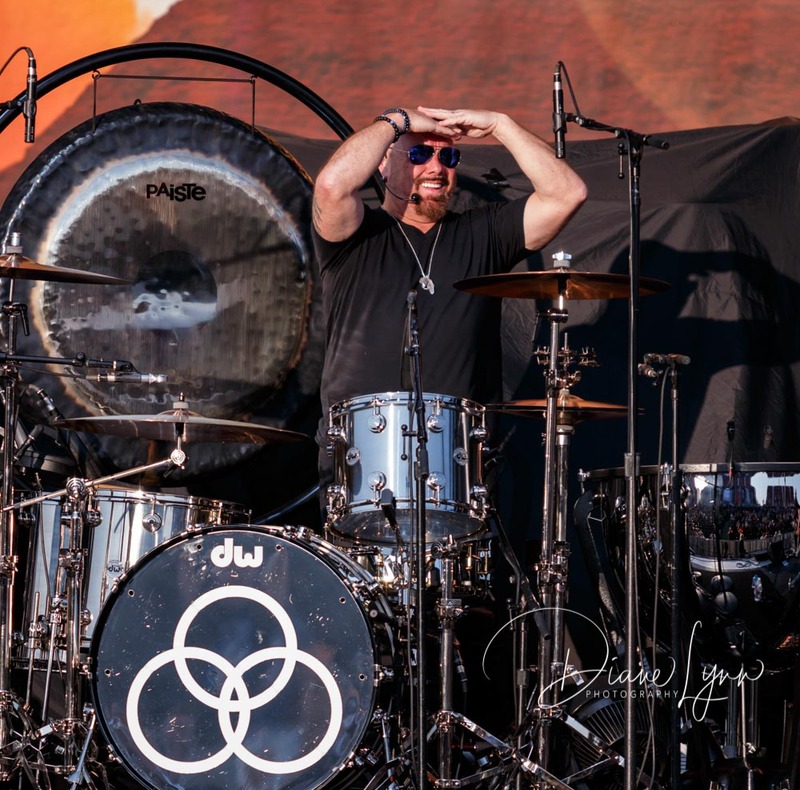 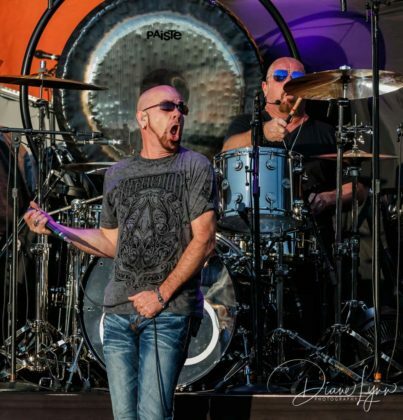 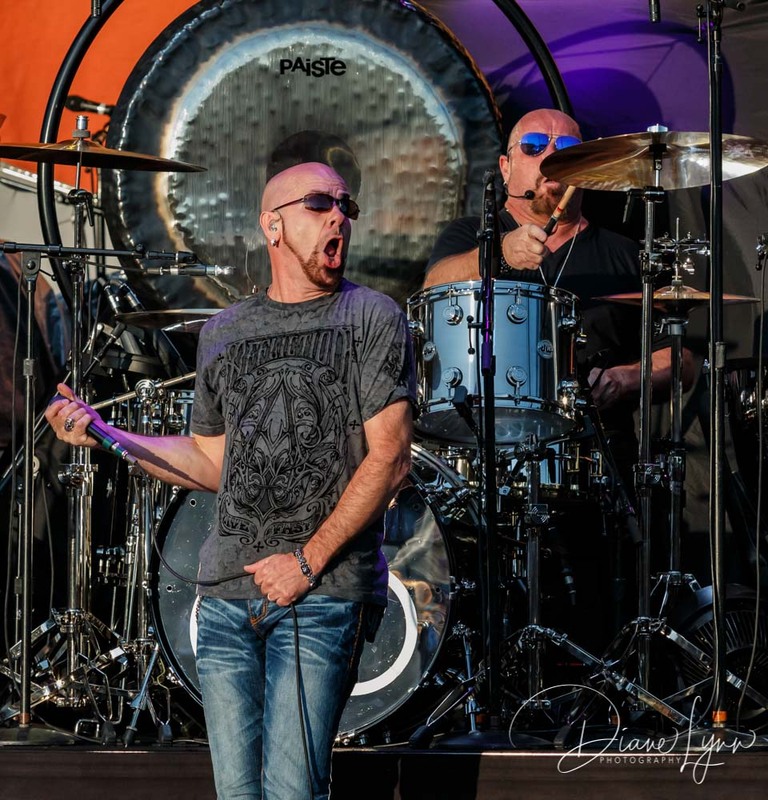 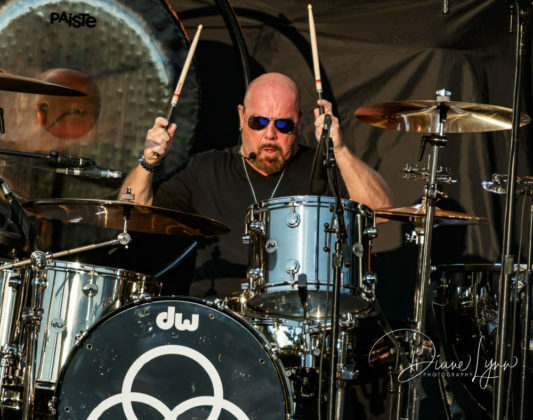 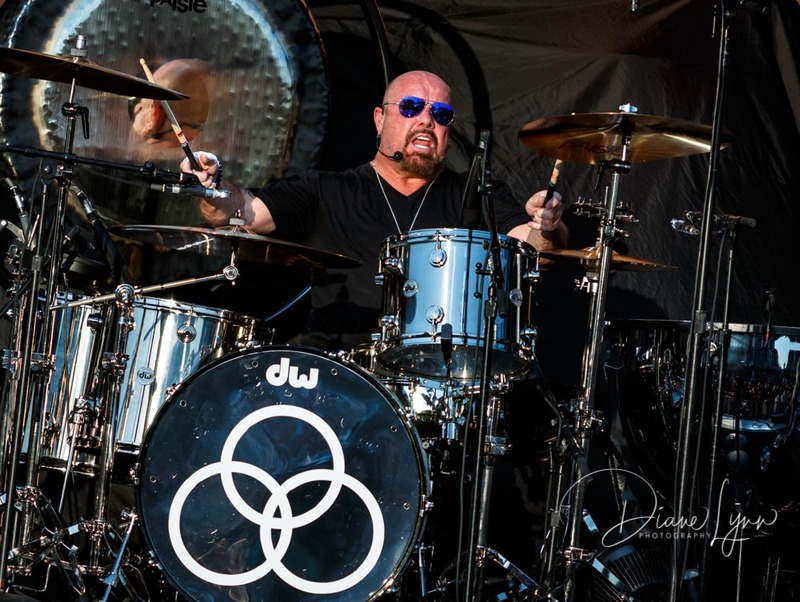 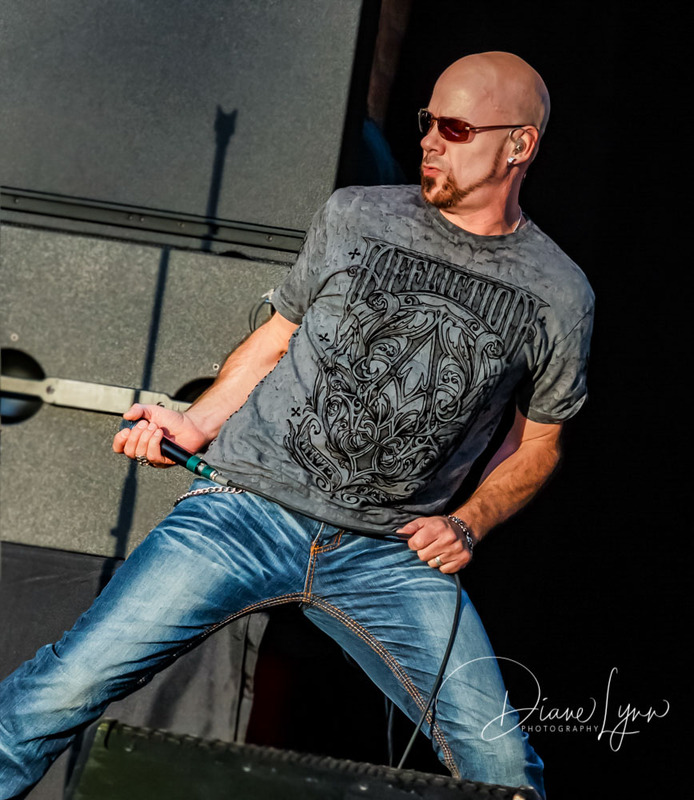 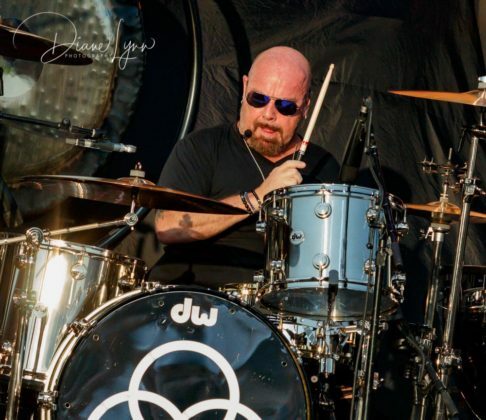 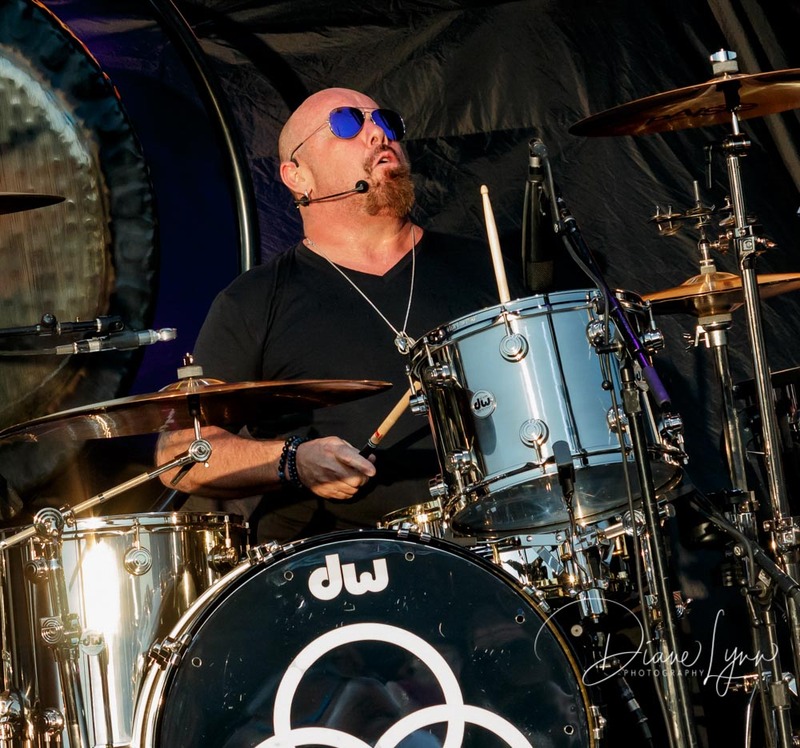 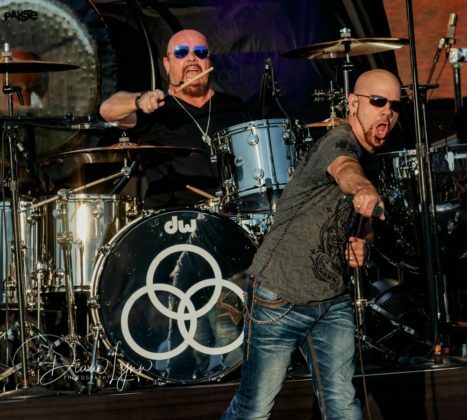 Bringing us the music from one of the most iconic bands in rock history and who could do that better than Jason Bonham, son of the late John “Bonzo” Bonham who as we all know was the drummer of Led Zeppelin. 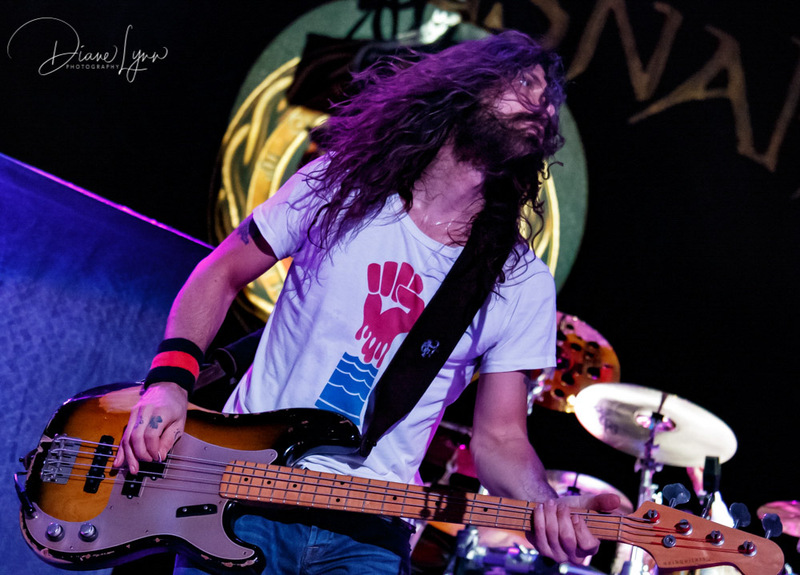 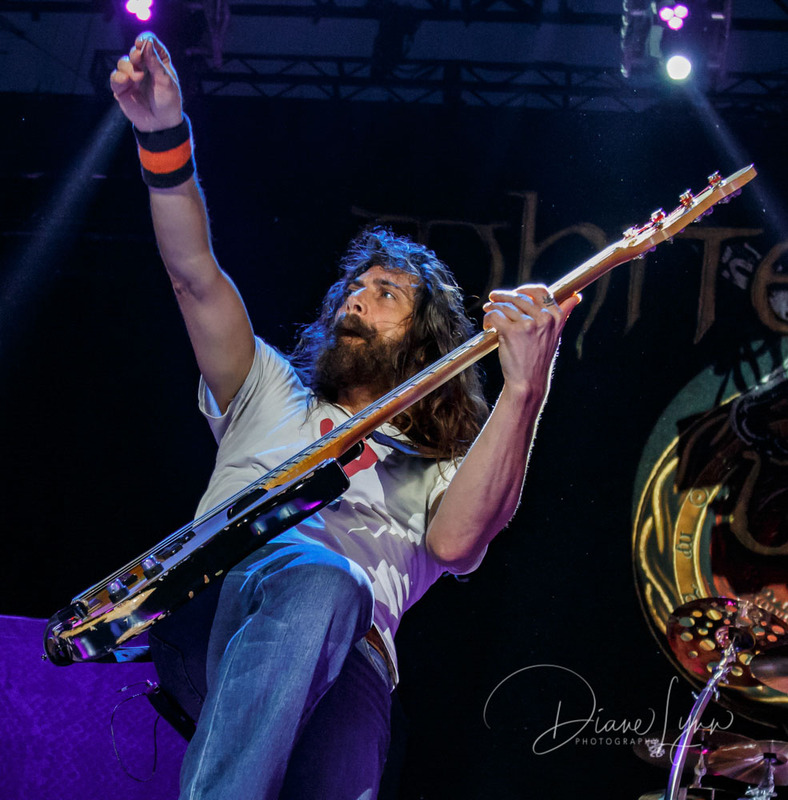 As the band took the stage a recorded version of “In The Light” started to play but once they were ready to go they jolted the fans to their feet with their first song of the set, “Immigrant Song“, leading right into “Good Times – Bad Times“. 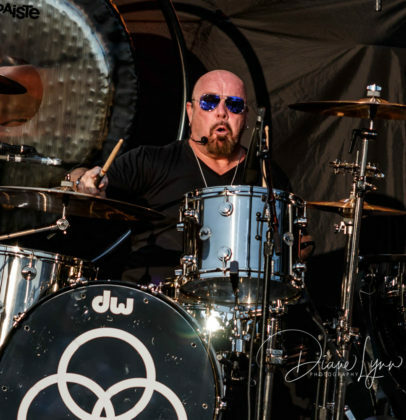 JB’s Led Zeppelin Evening is a fantastic Tribute and great way of keeping the spirit of Led Zeppelin and Jason’s father, John Bonham alive. It’s not only a way for the true Zep Heads to hear their favorite songs played live again but it’s a great way of creating new fans of a band that played such a huge part in the history of rock and roll. 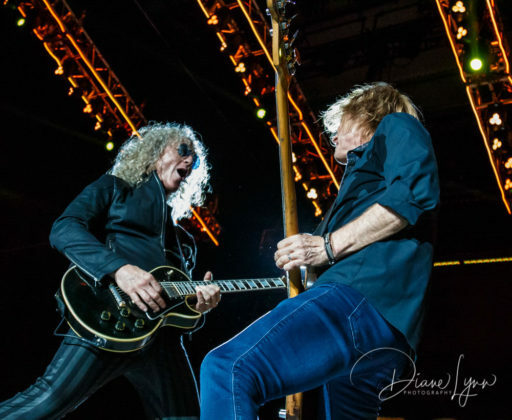 The set this night was a bit shorter than normal but they still touched on the most popular hits of Led Zeppelin such as “Rock and Roll“ and “Whole Lotta Love“ then ending the set with the most famous of all, “Stairway To Heaven“. Jason brings to the stage a very similar style of playing as his legendary father. 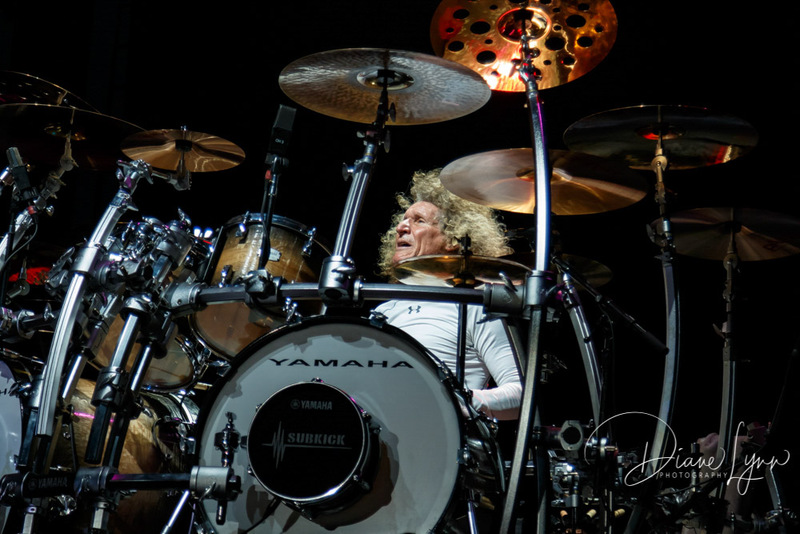 The hard hitter is as accurate as you can get when it comes to keeping the beat on each Zeppelin song they cover. 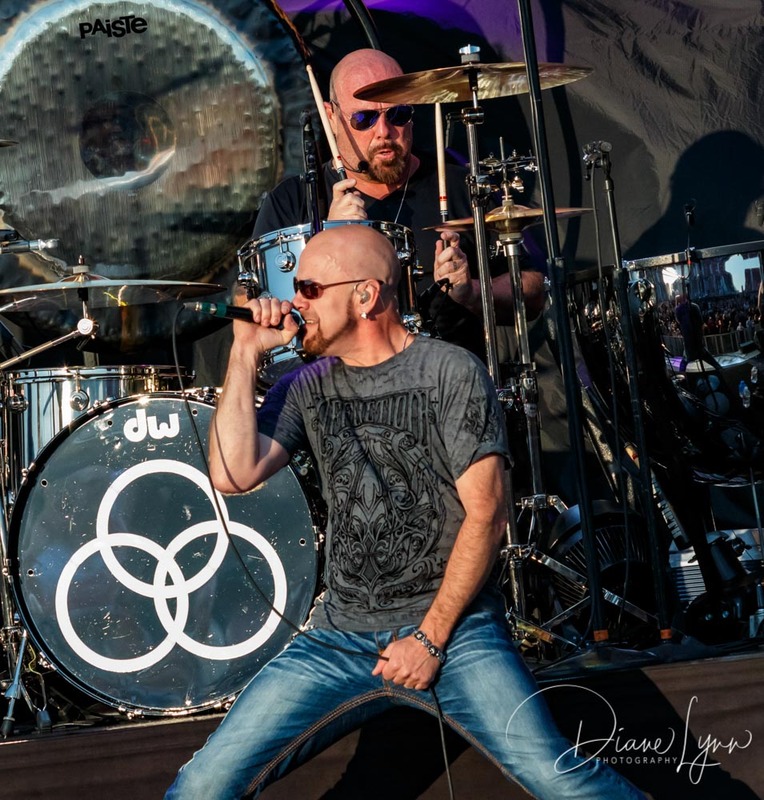 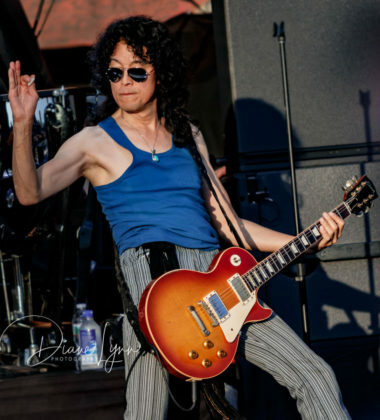 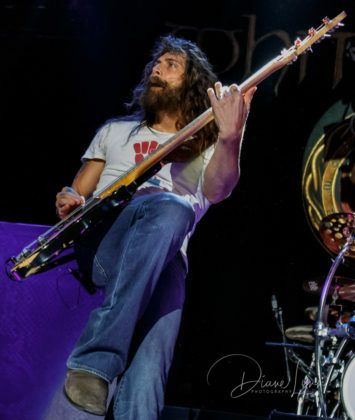 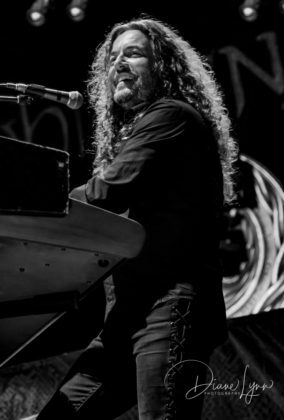 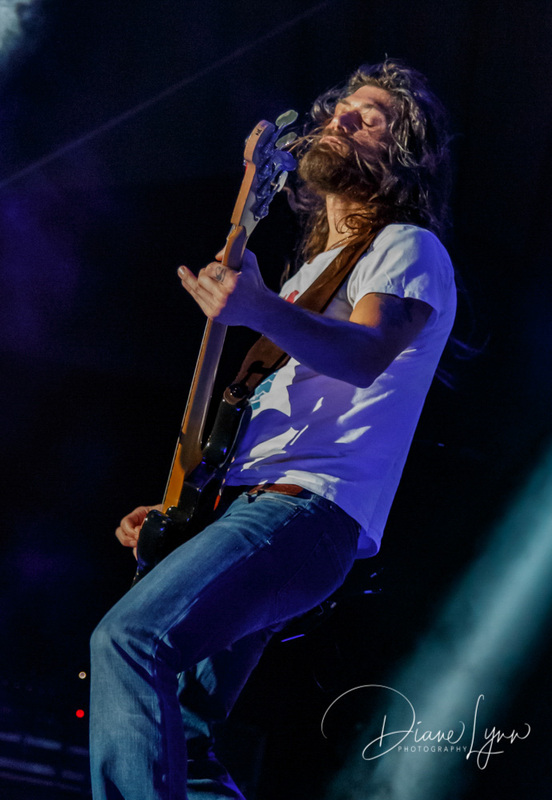 The musicians joining Jason, are a very talented group of guys; James Dylan on lead vocals is a perfect fit vocally and matches the style needed to present these famous songs as they once were, hitting the highs and lows to create a true Led Zeppelin experience. 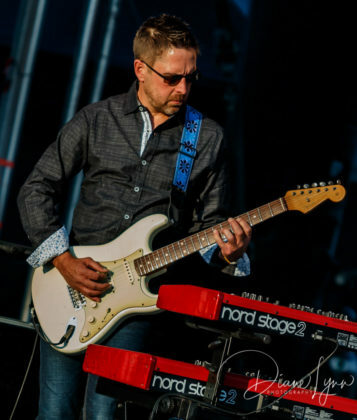 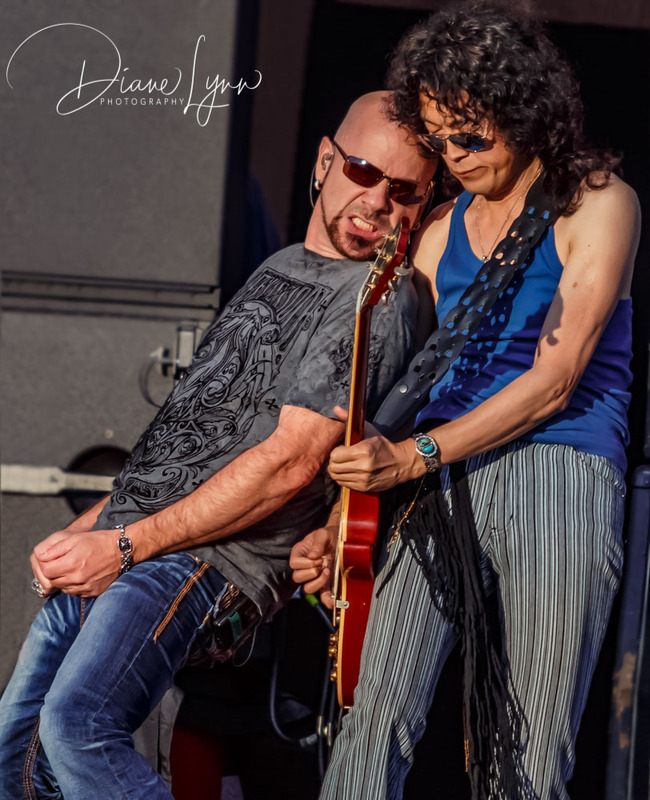 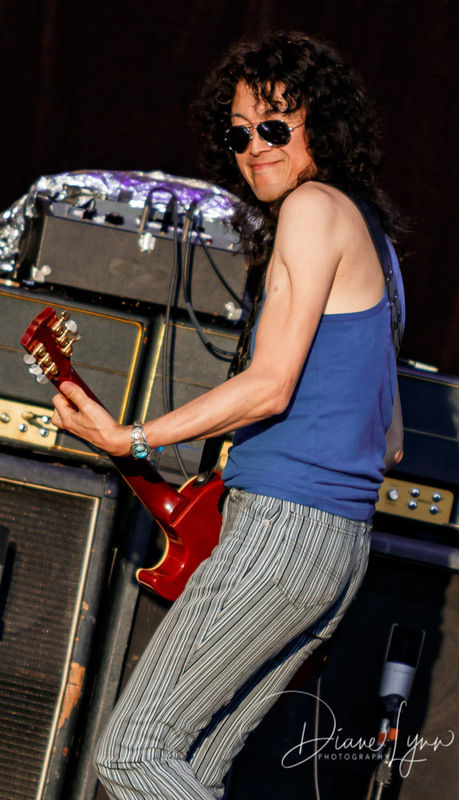 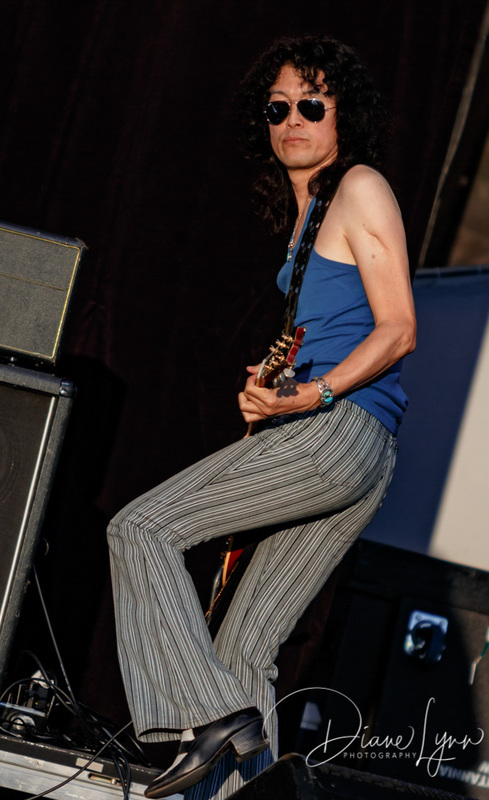 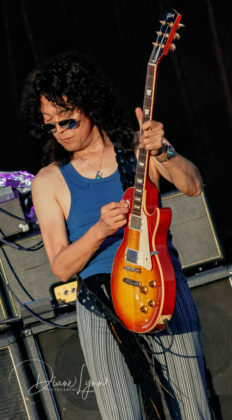 Jimmy Sakurai on lead guitar is about the closest you can get to Mr. 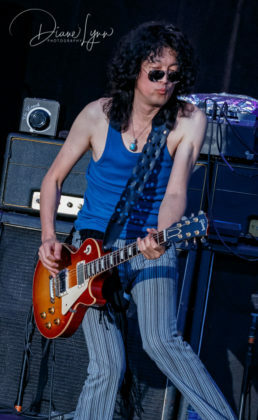 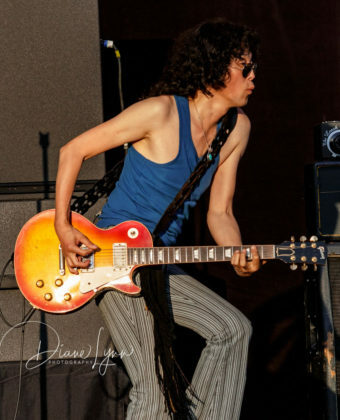 Page himself, his mannerisms and style are uncanny and his playing has even brought Jimmy Page to stand up and applaud. 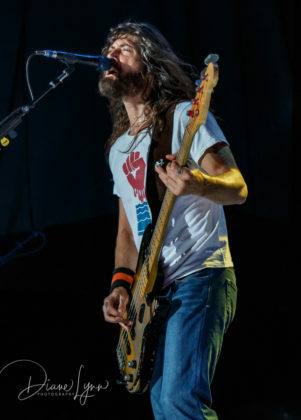 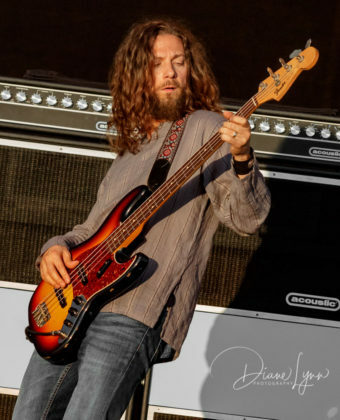 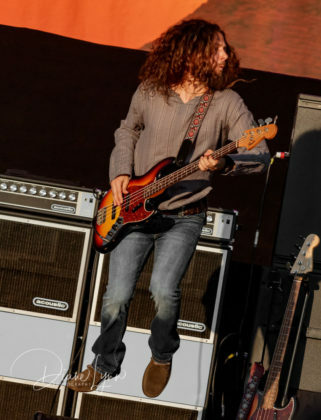 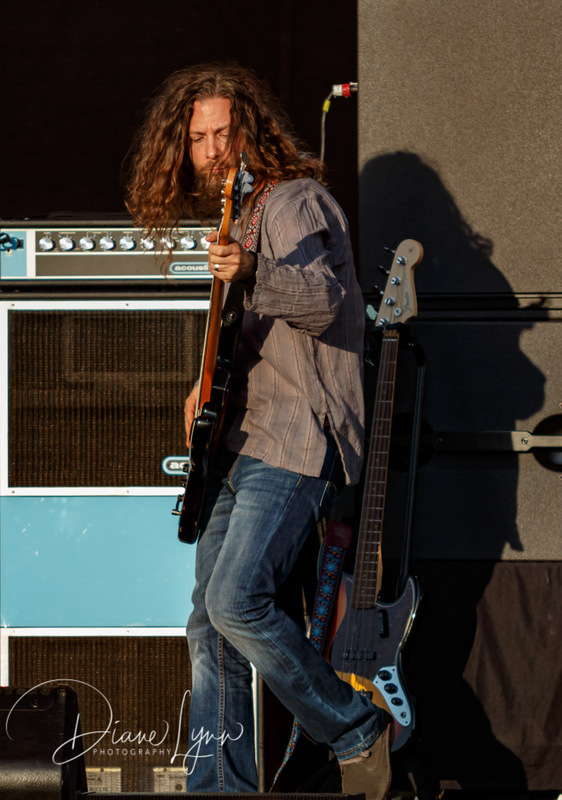 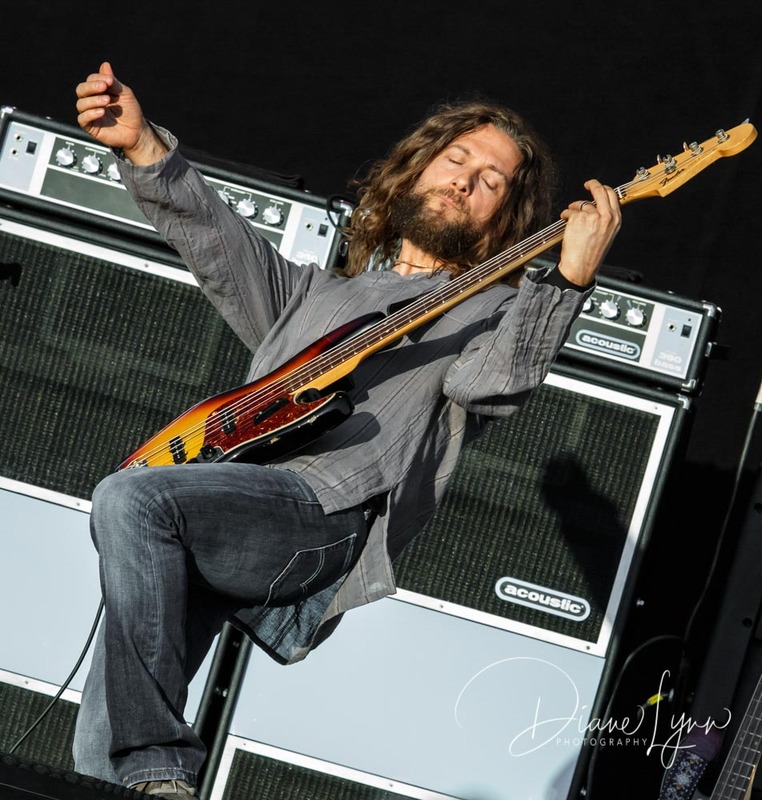 Dorian Heartsong on bass has a playing style very similar to the great John Paul Jones; it’s smooth, precise and powerful. 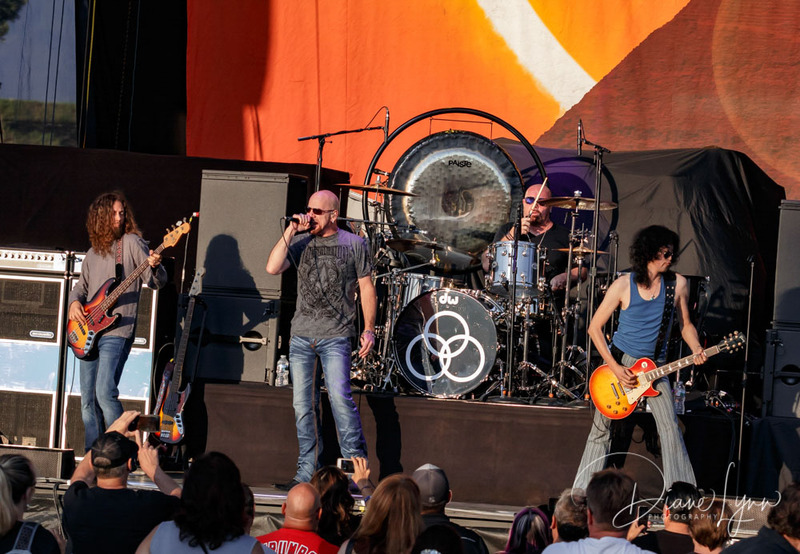 Add in Alex Howland on keys/guitar and you have the perfect complement to Jason Bonham’s drums creating a rockin’ and rollin’ 70’s style evening that you won’t forget… A perfect Led Zeppelin Evening. Next up, Whitesnake, the band that I was most eager to see. 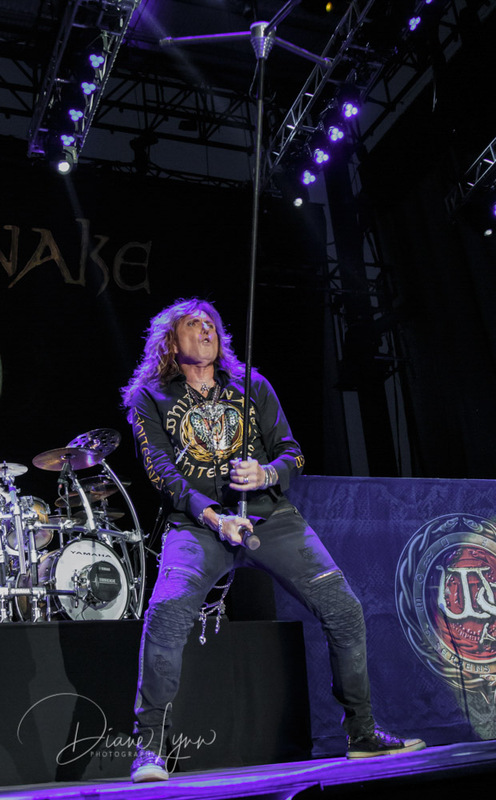 I’ve seen Whitesnake just once, back in 1987; I believe they were opening for Motley Crue at the time. 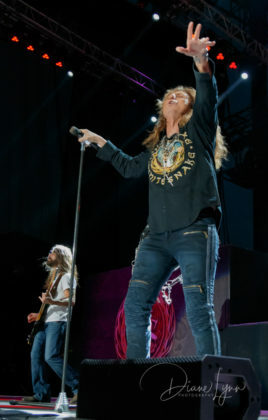 Man, what a show they put on and I’ve heard they’ve continued to kickass on stage ever since. 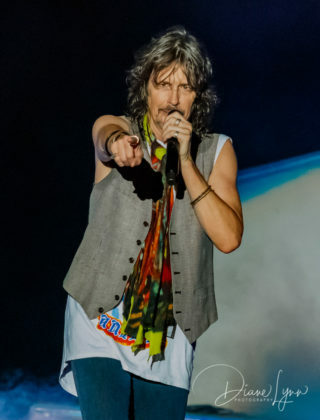 I heard right! 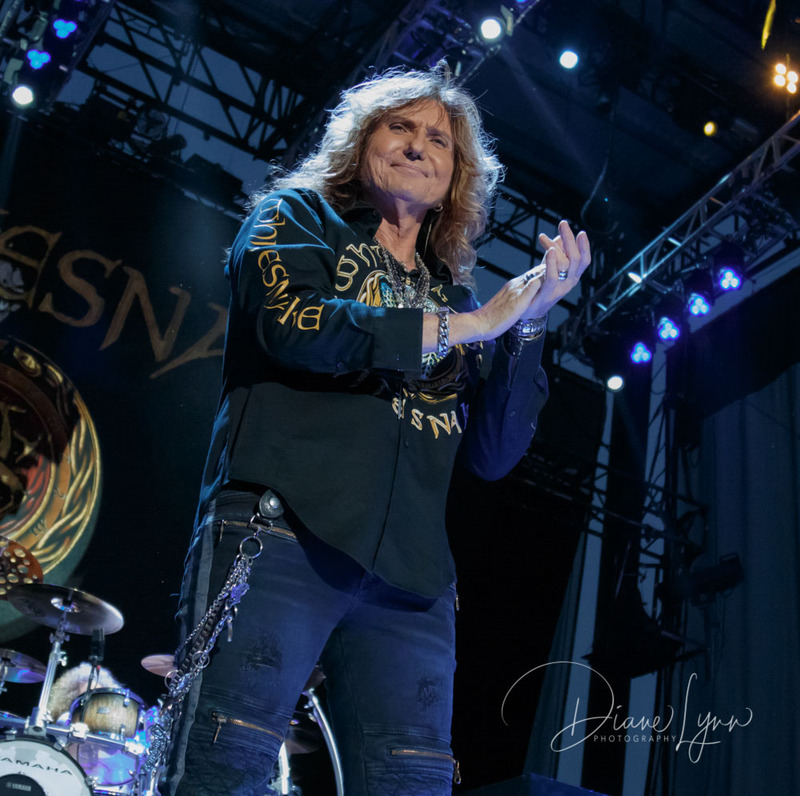 The band stepped out on the stage, greeting the crowd with smiles and waves but then it was down to business, they were ready to rock and so were the fans! 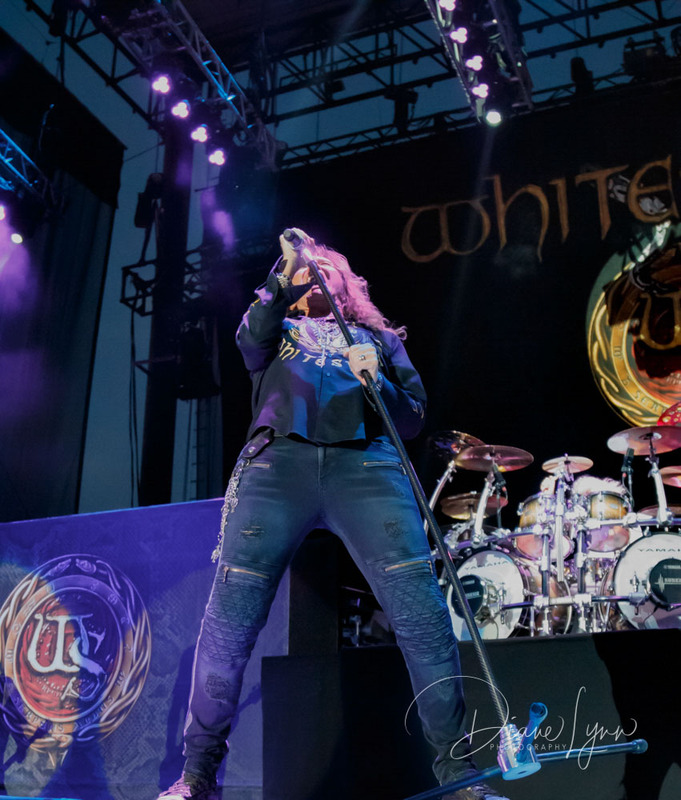 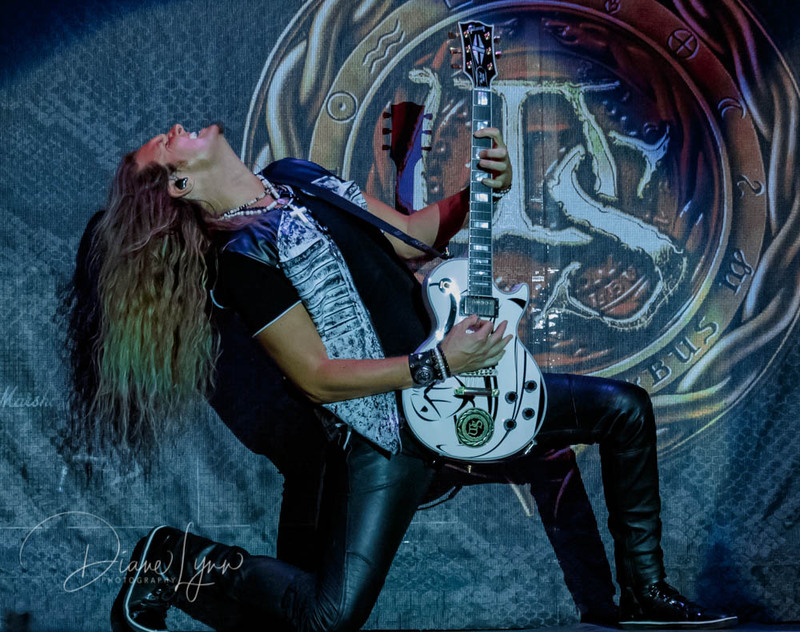 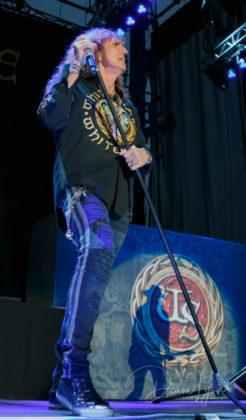 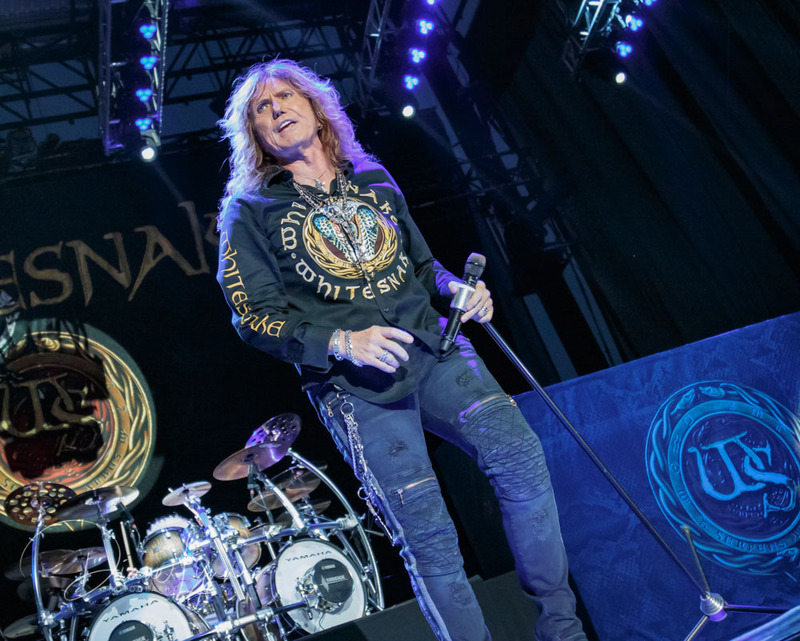 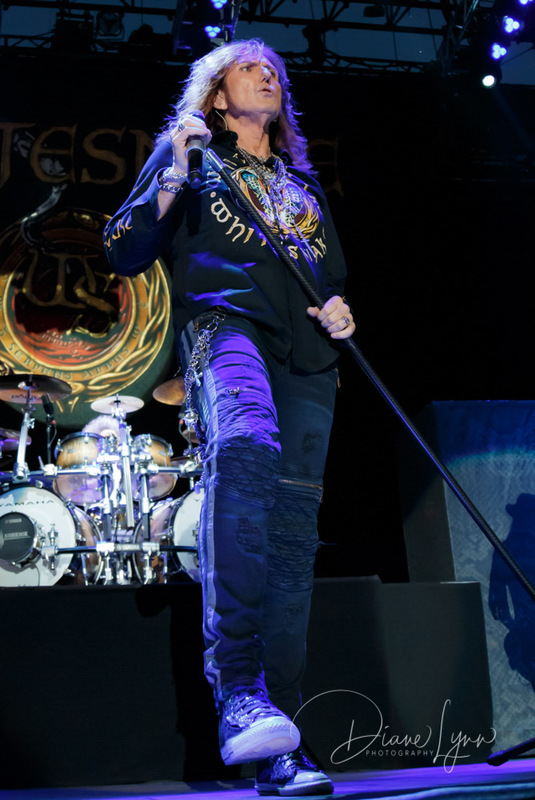 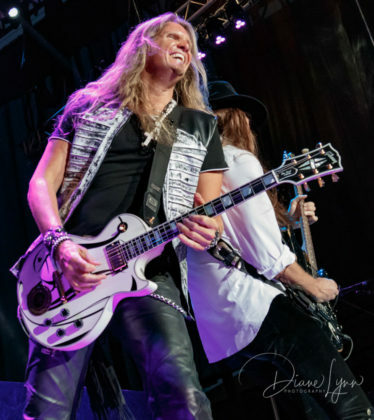 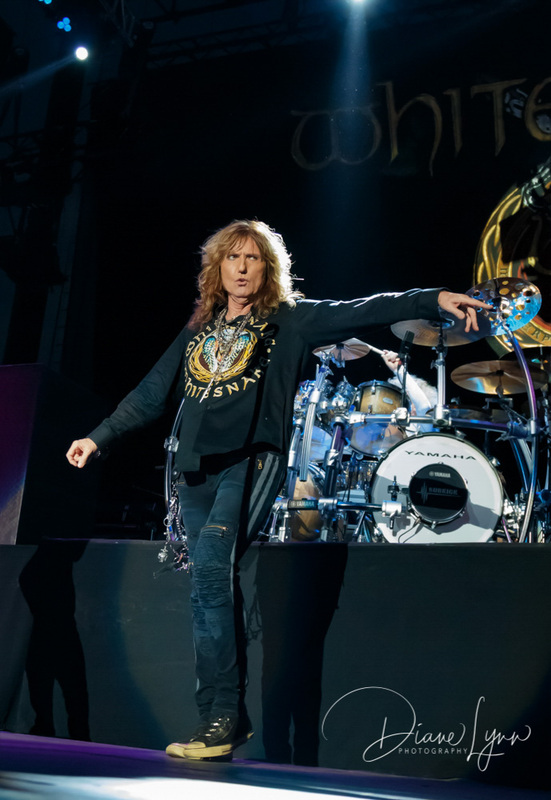 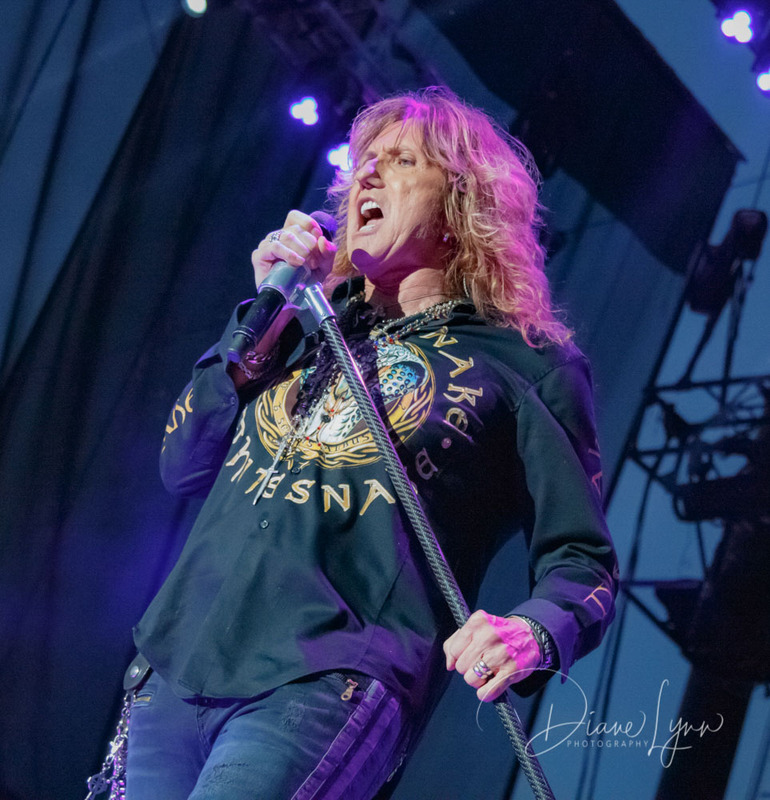 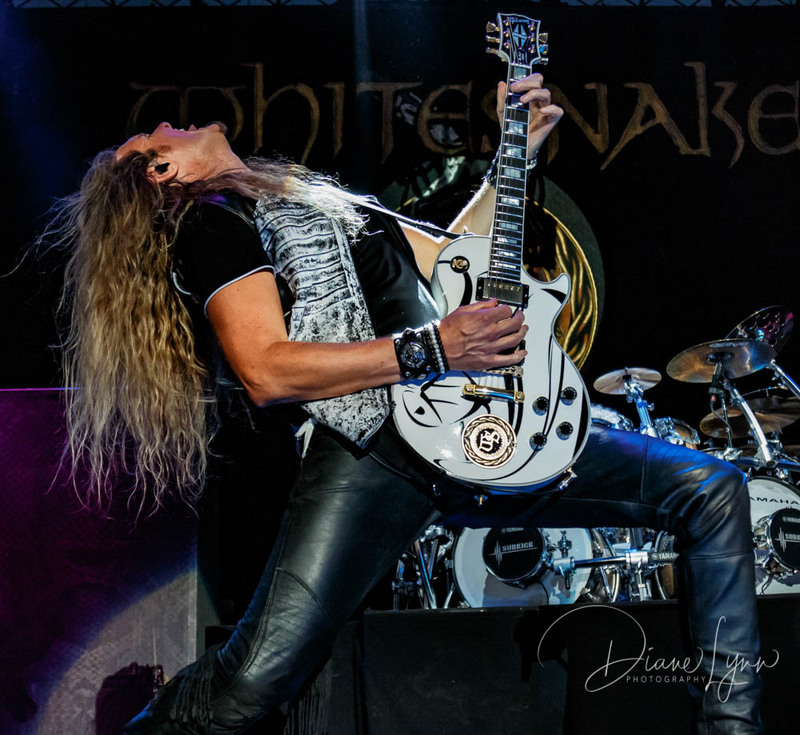 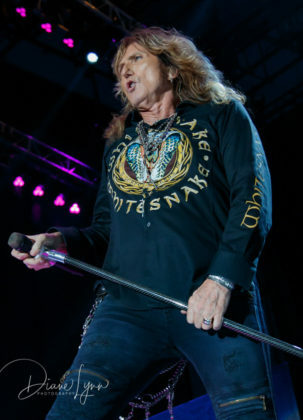 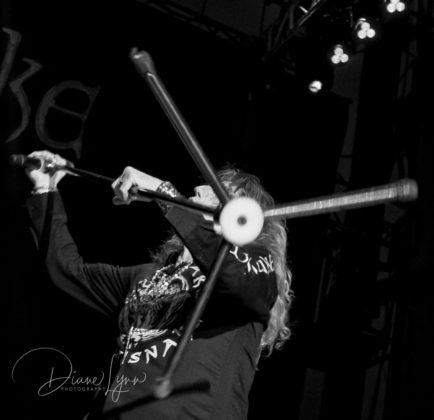 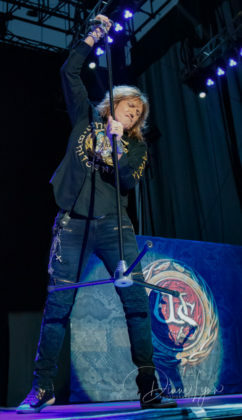 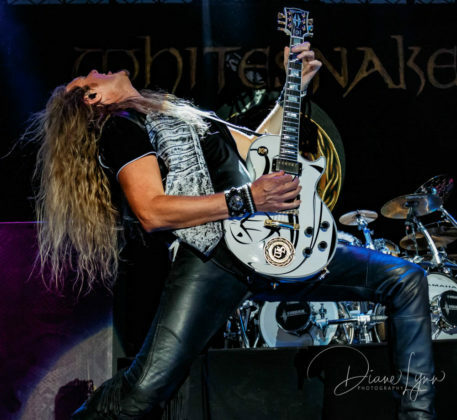 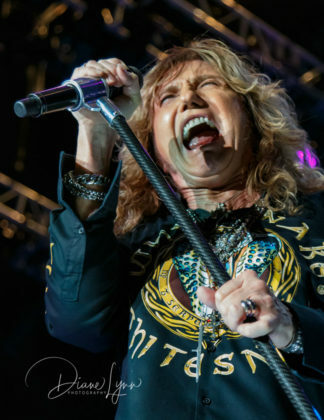 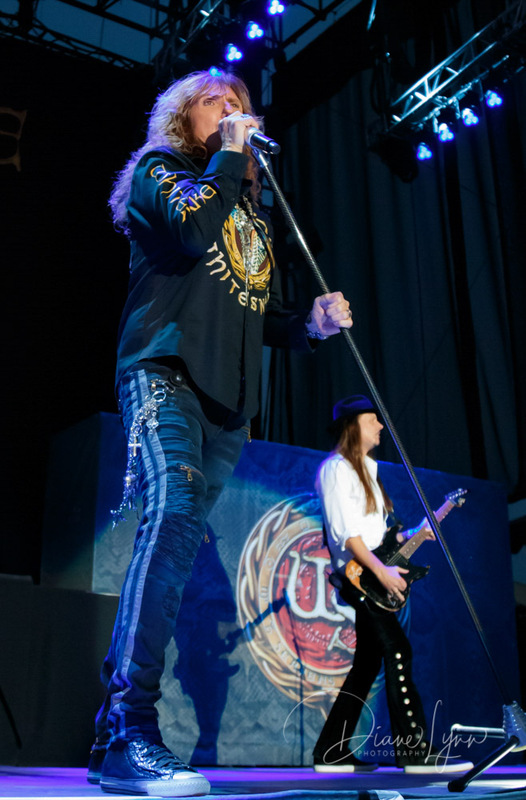 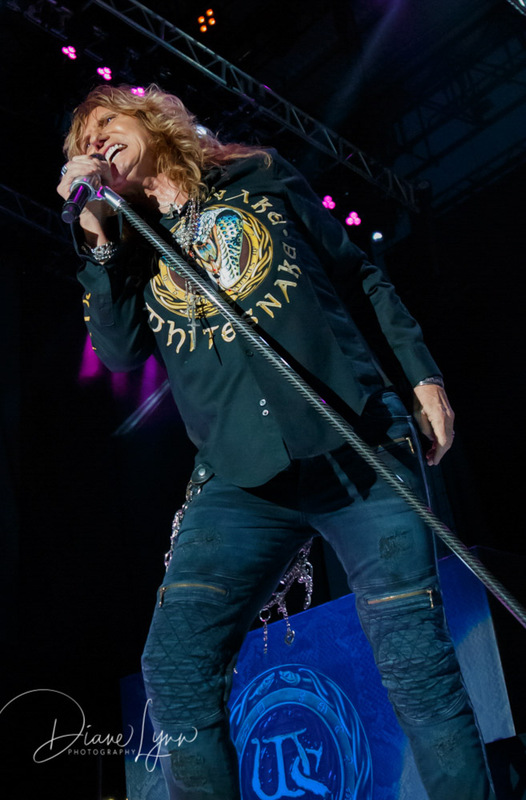 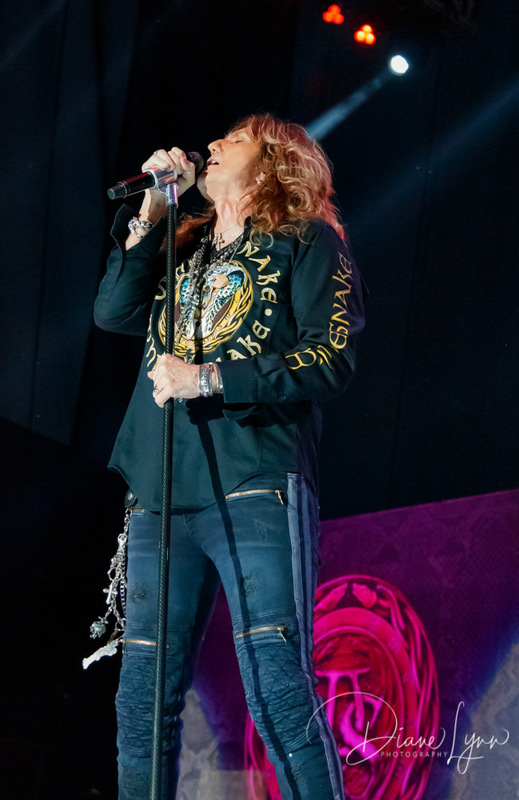 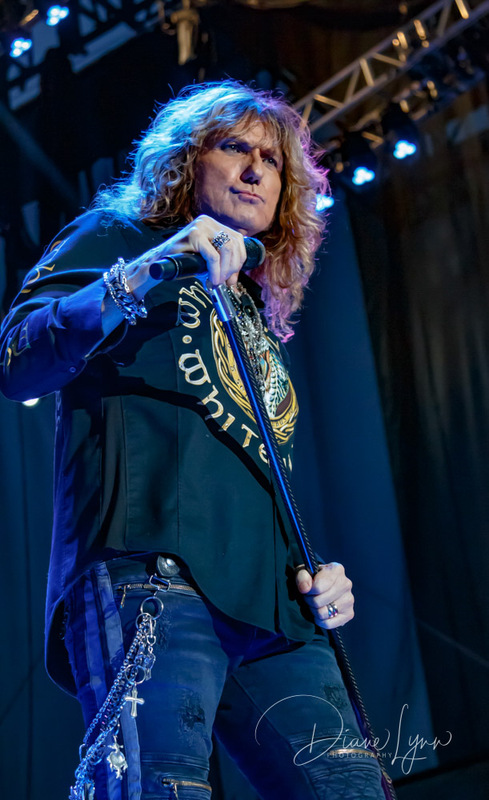 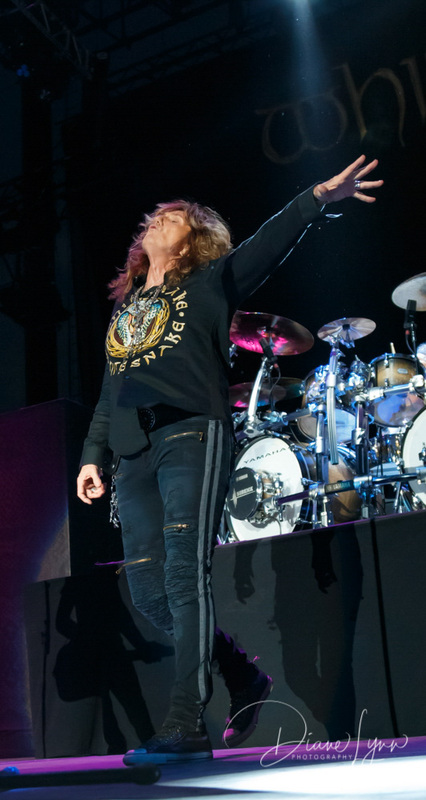 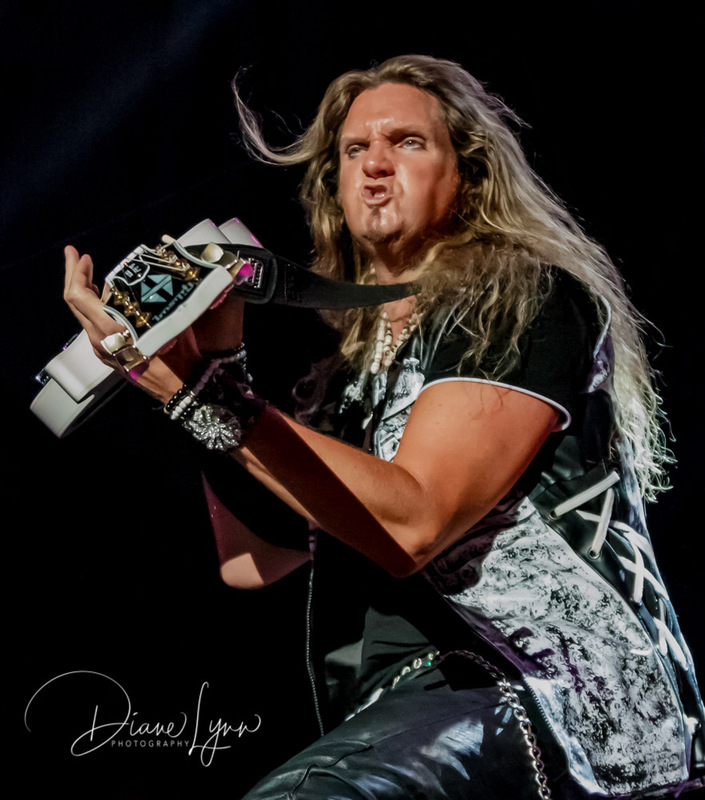 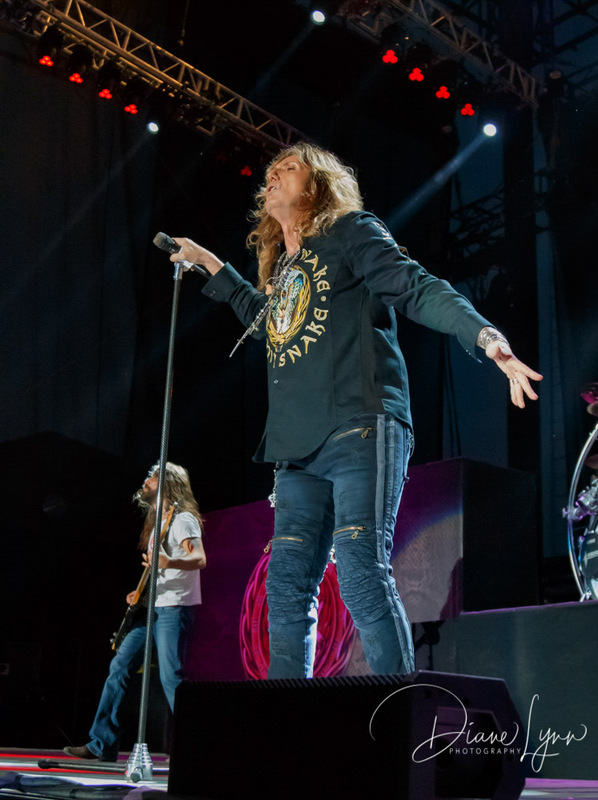 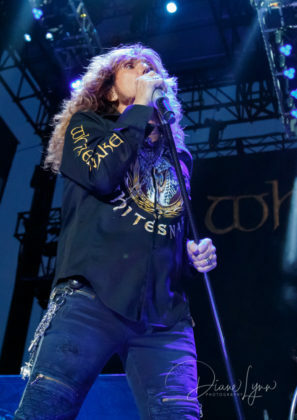 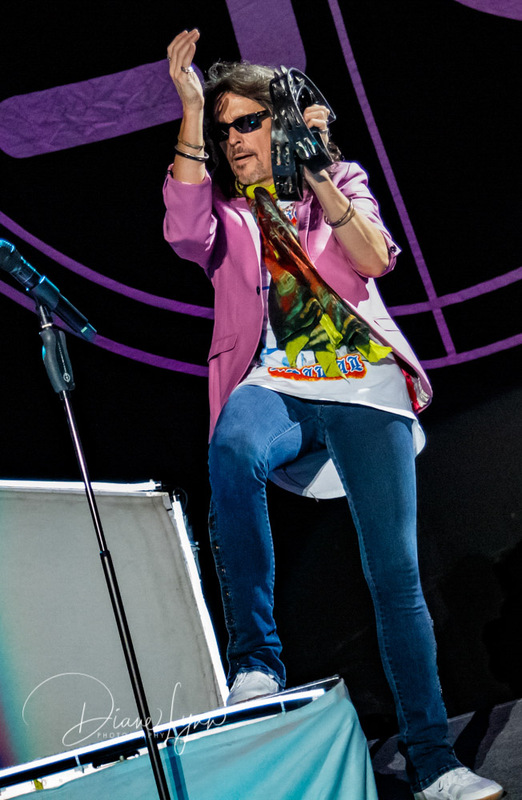 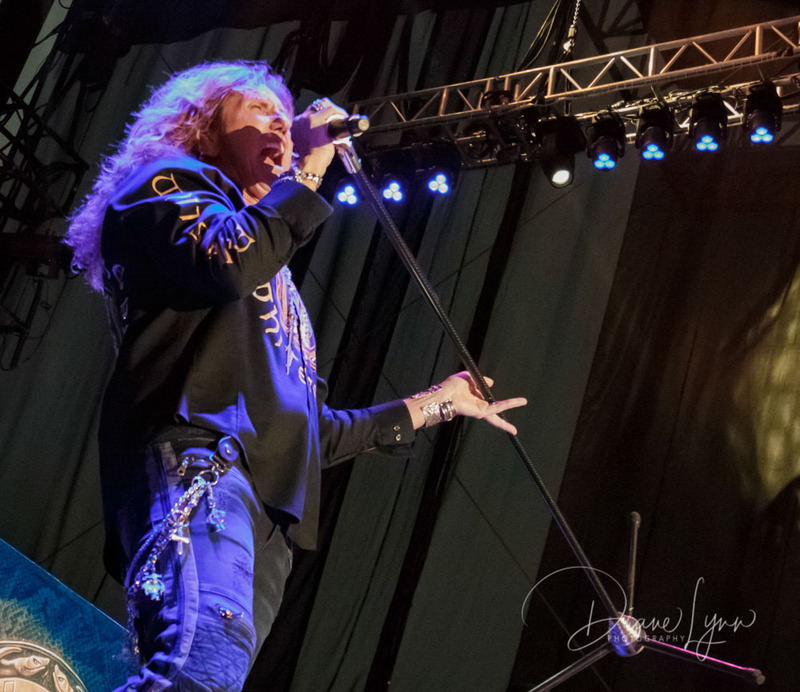 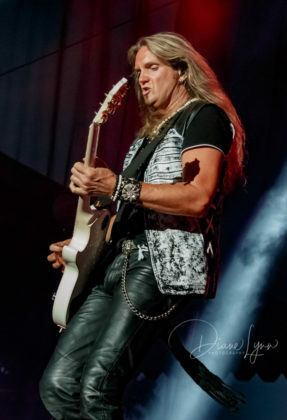 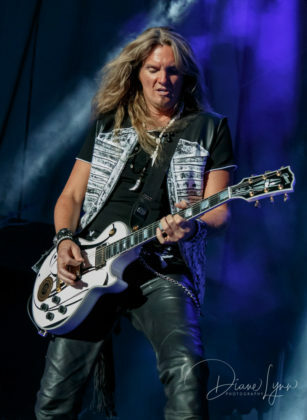 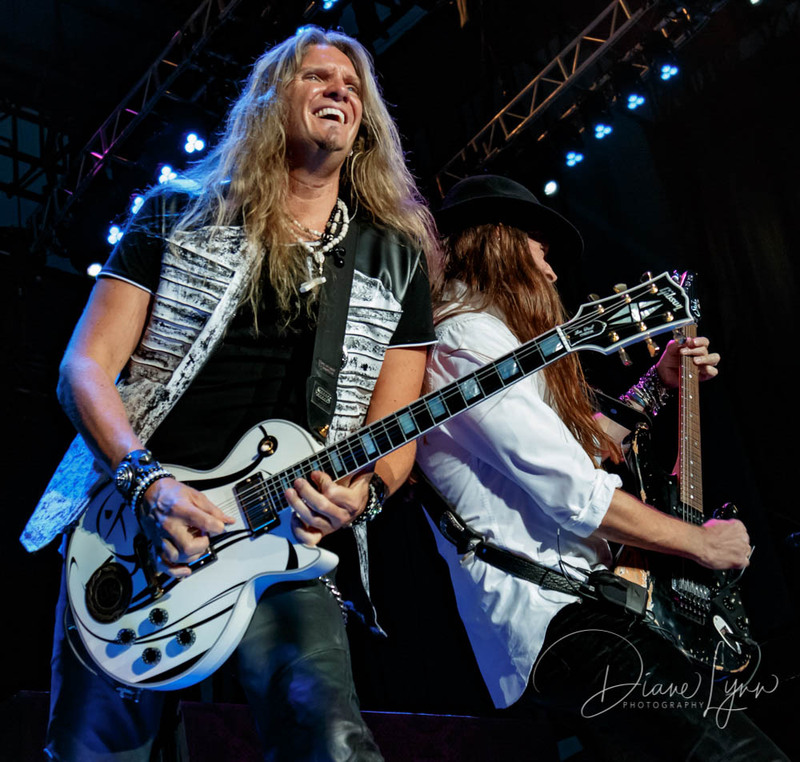 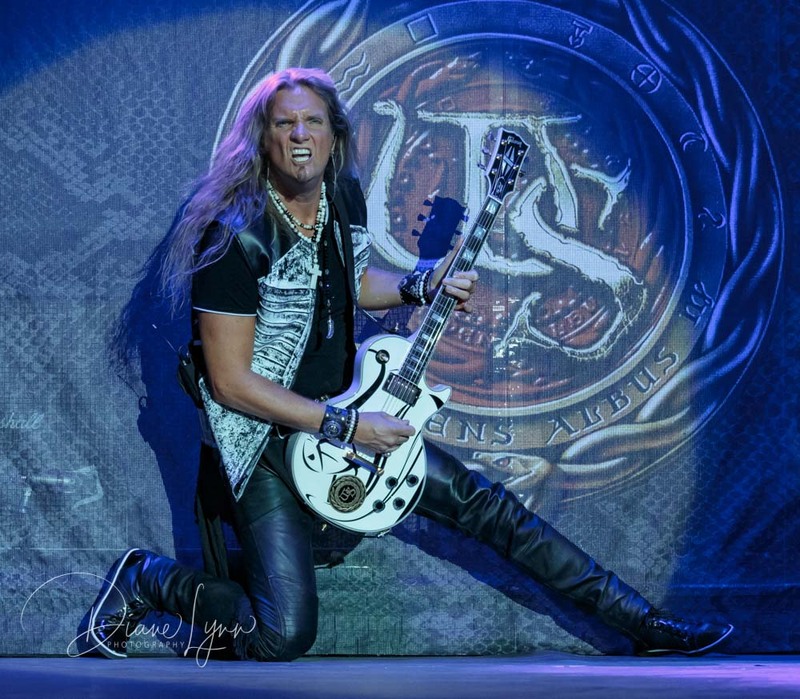 After a few screaming licks of the guitars and a couple of hard beats of the drums, David Coverdale made his way out, standing center stage with a playful grin, he gave a quick stare out to the crowd and of course they responded with a roaring applause. 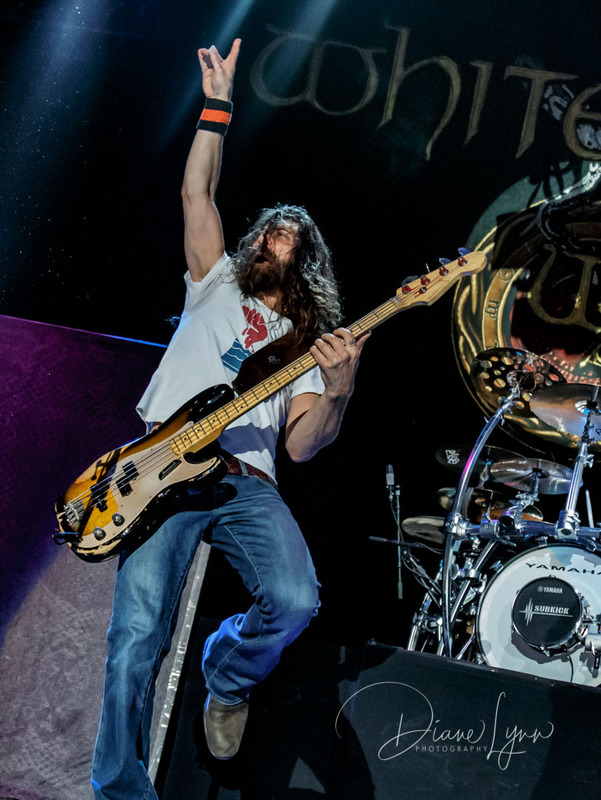 The crowd had the horns up, drinks up and just like that the rock n roll party was in full swing! 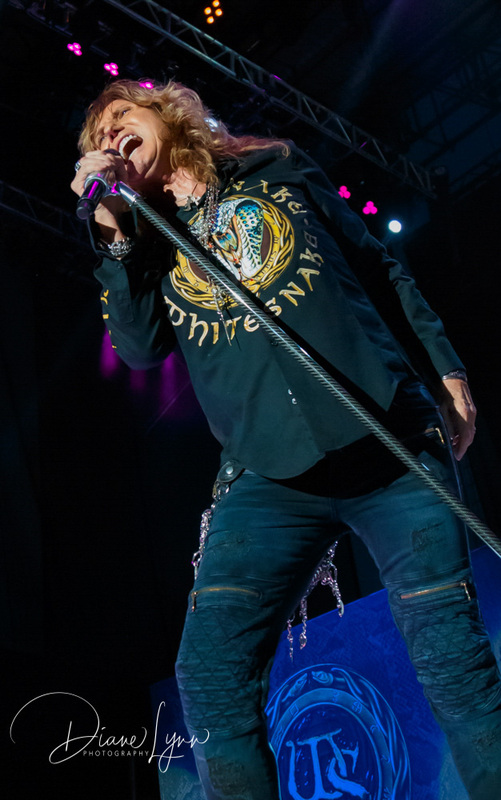 The band went straight into the song “Bad Boys“, a fitting first song for these bad boy rockers who are still bringing it hard to the stage. 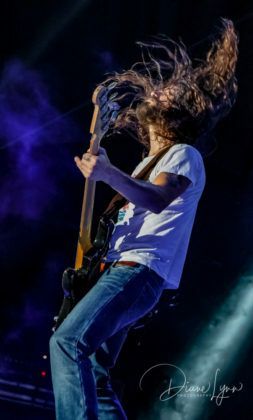 The light show was killer and the sound was perfect. 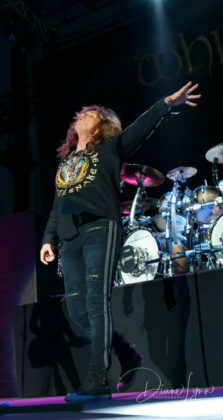 Fans in the very back of the venue were on their feet rockin’ to every tune they played. 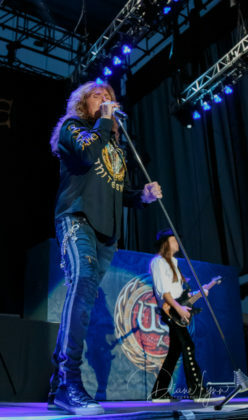 Having a look around during Whitesnake’s set it was starting to feel like 1987 all over again. That lineup reads like a who’s who of rock n roll. 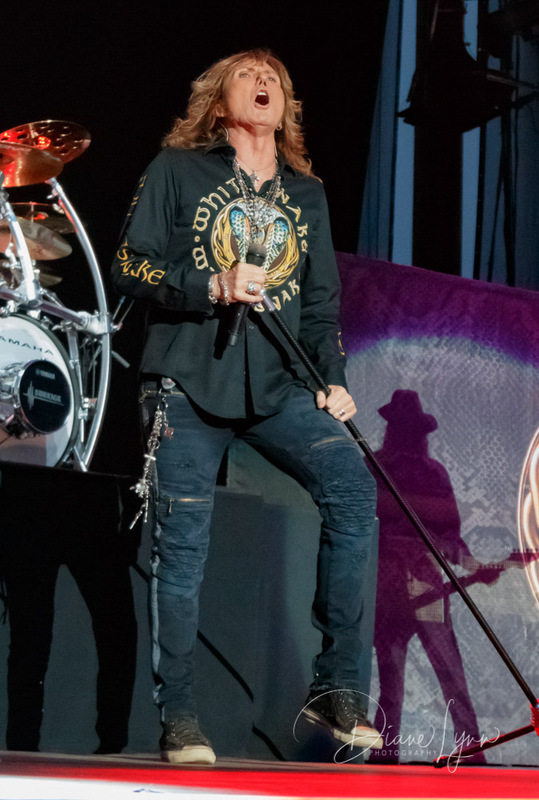 They brought the guitar solos and drum solos mixed in with keys, complimenting the ever-recognizable vocals of David Coverdale. 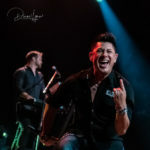 Not only is this lineup an amazing group of musicians but it has to be one of the best times I’ve had photographing a band on stage. 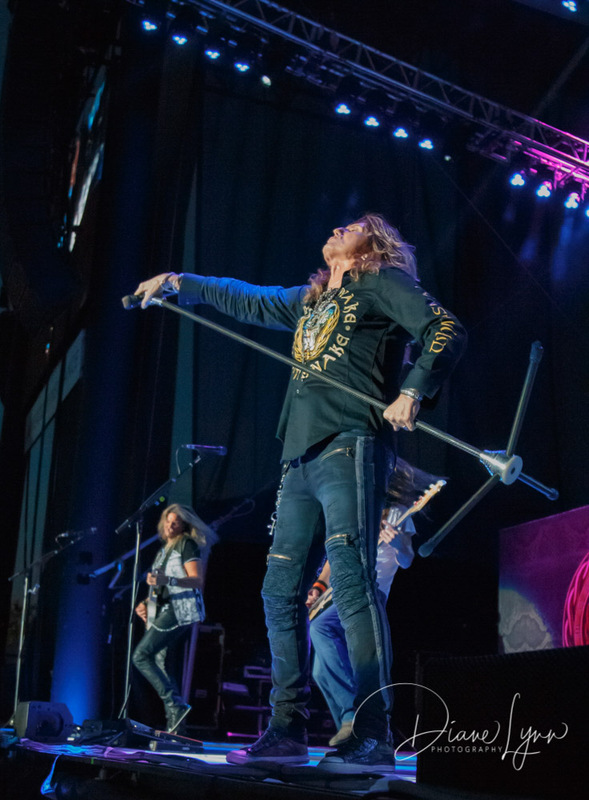 These guys did not lack at putting on a real rock show: The poses, the looks and hair flips, the interaction with the fans, they did it all! This, after all was part of the standard back in the height of the hair metal days and I have to say it was still “totally awesome” today! 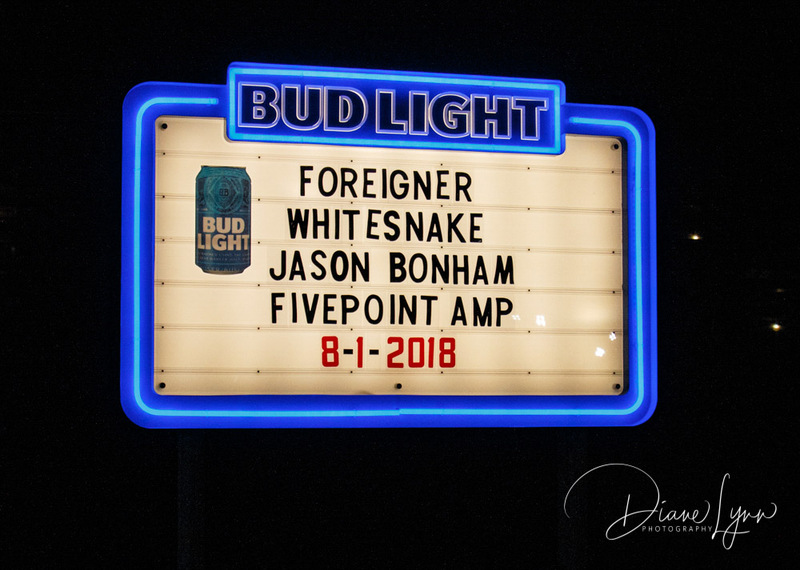 The set list for this night was hit after hit! The next time these “Bad Boys” slide into town I’ll definitely be there, I suggest you come too! 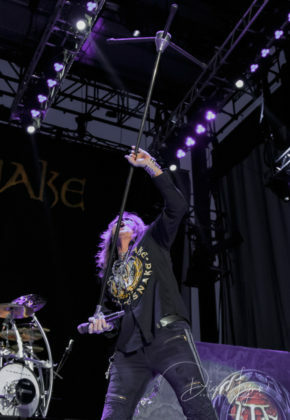 PS: Hold on to your hats ladies and gentlemen, Whitesnake will be releasing new music, although it’s been delayed a bit, I hear it’s forthcoming and should be available sometime in early 2019. 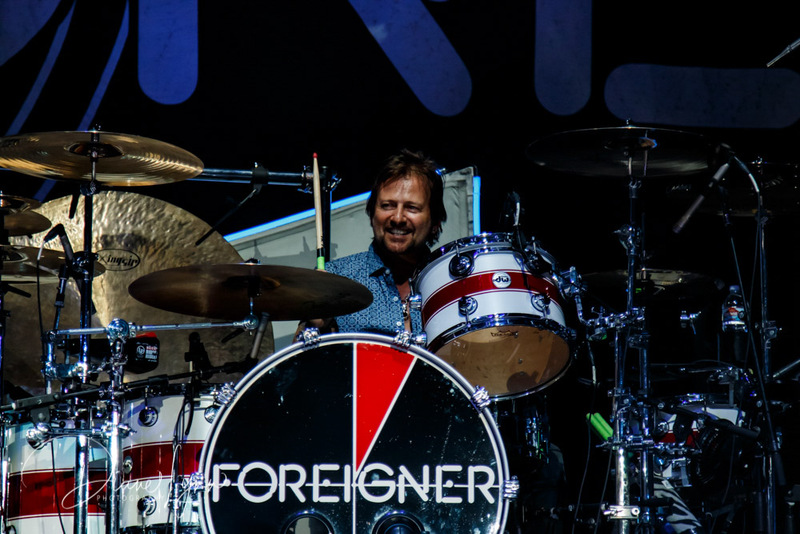 The final set of the night: Foreigner! 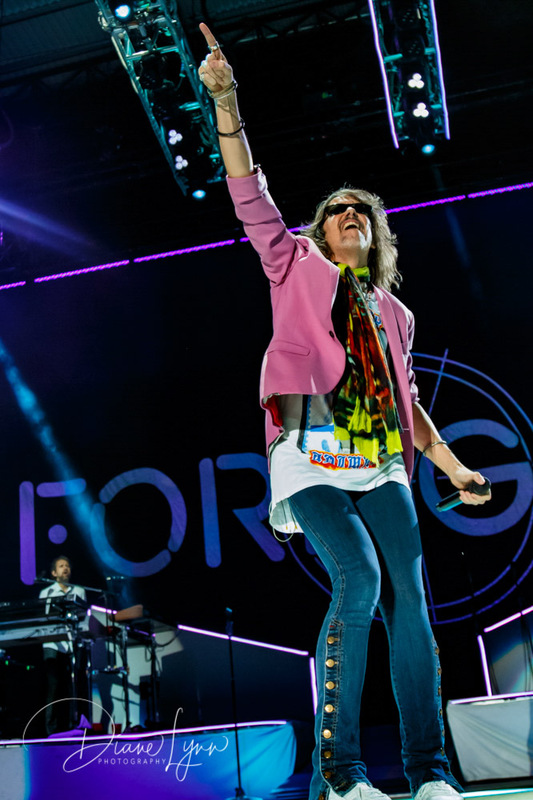 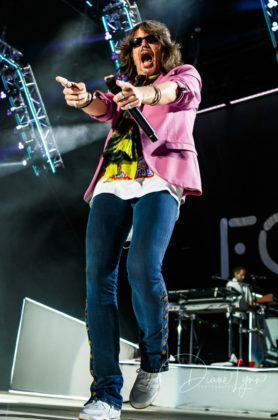 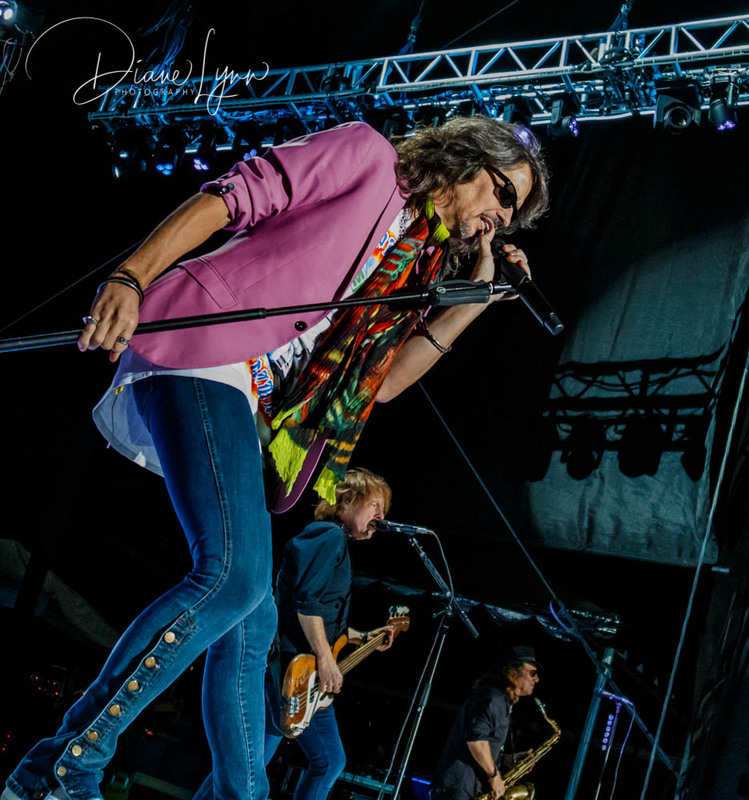 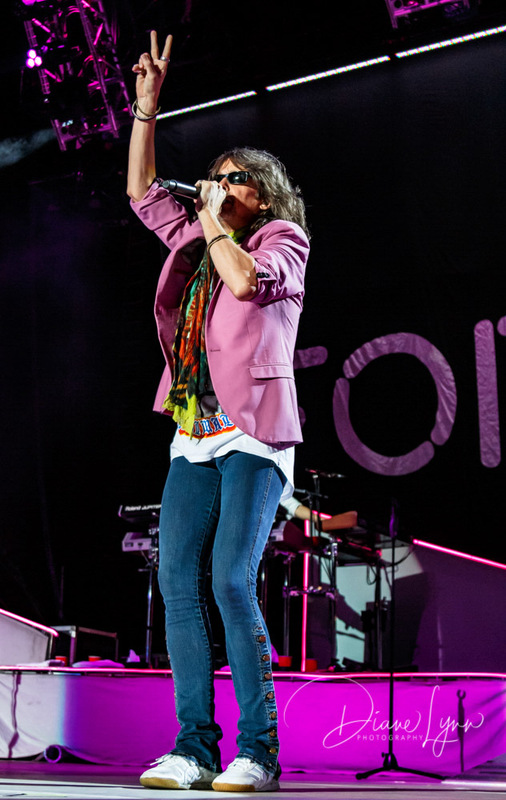 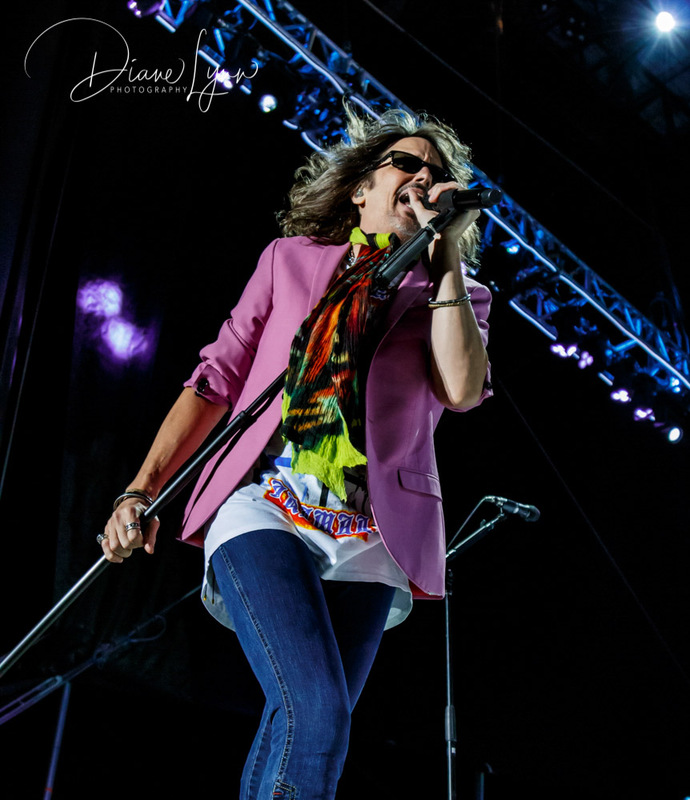 With Kelly Hansen on lead vocals for this version of Foreigner, they perform the classic hits without missing a beat. Mick Jones being the only original member of this stand out band of the 70’s and 80’s didn’t join the band until a bit later in the set, but this group of guys are held their own presenting the classic hits that Foreigner produced some years ago. 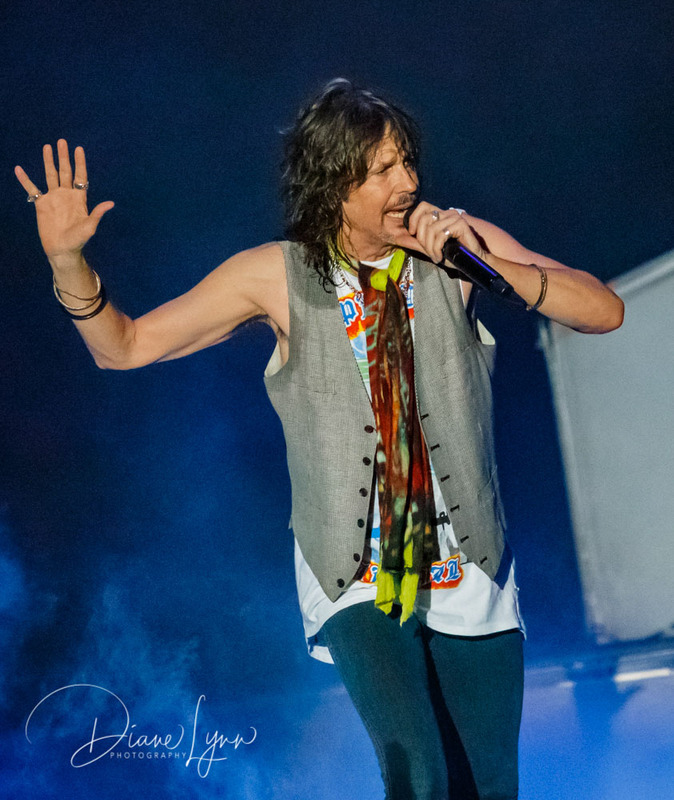 The vocals of Kelly Hansen nail the Lou Gramm sound. To the ear you’re hearing the classic songs as they were when they first hit the air waves. 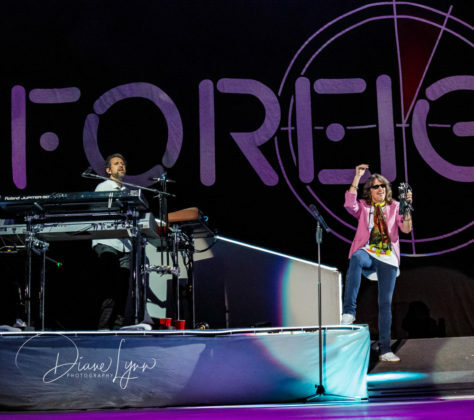 Foreigner pulled out all the stops for this tour: The wide open stage setting, amazing lighting and a huge backdrop sporting the band name and a portion of the “Foreigner 4“ album logo. 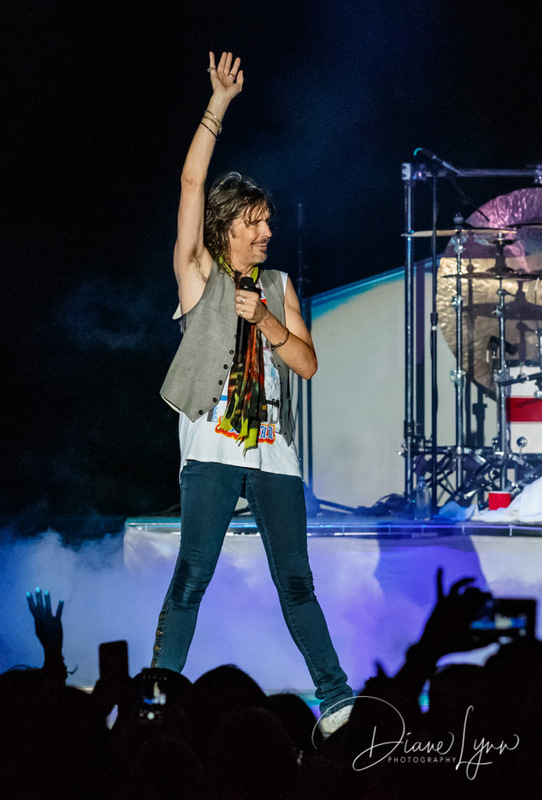 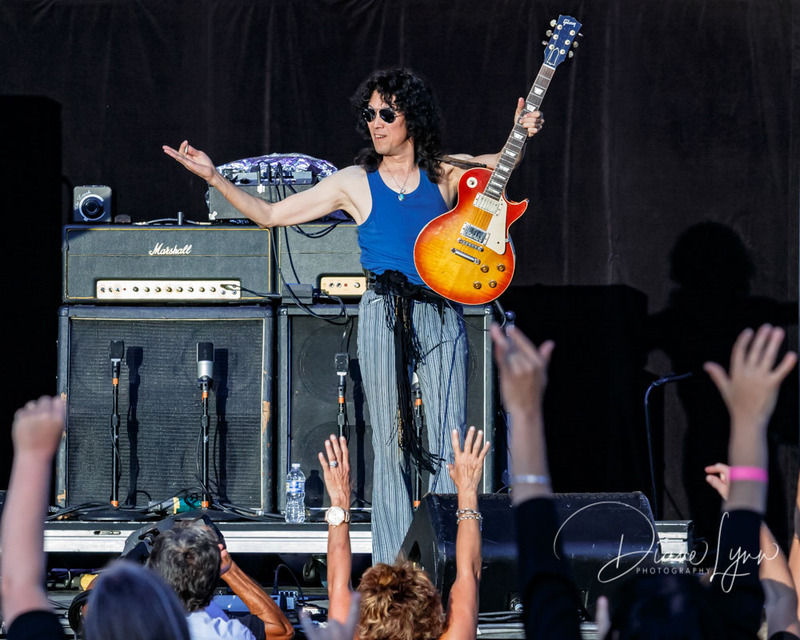 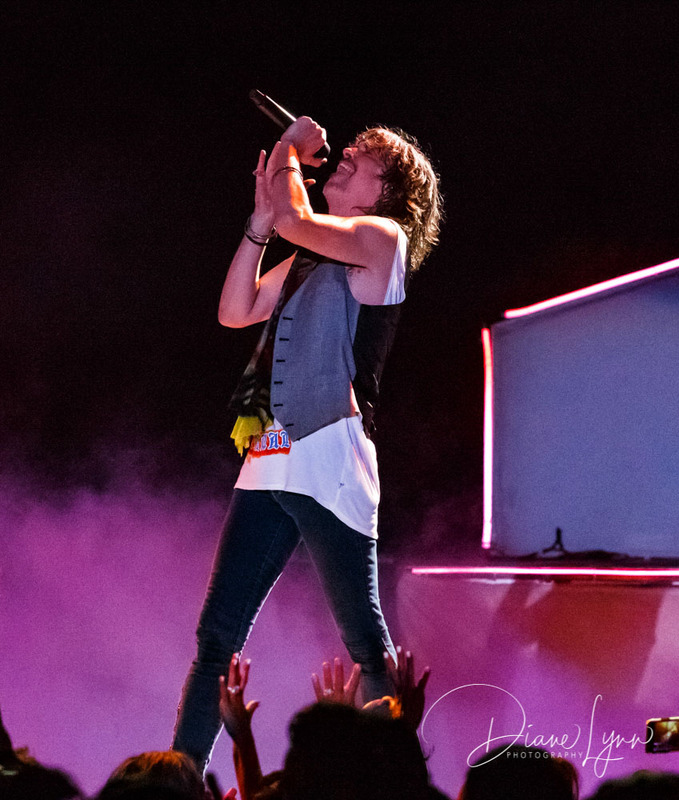 The drums were set high on one side and keyboards on the other leaving the rest of the stage for guitars, bass, horns and the energized Kelly Hansen. 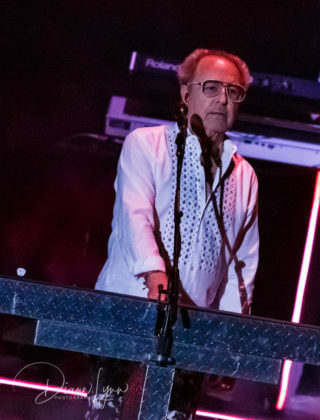 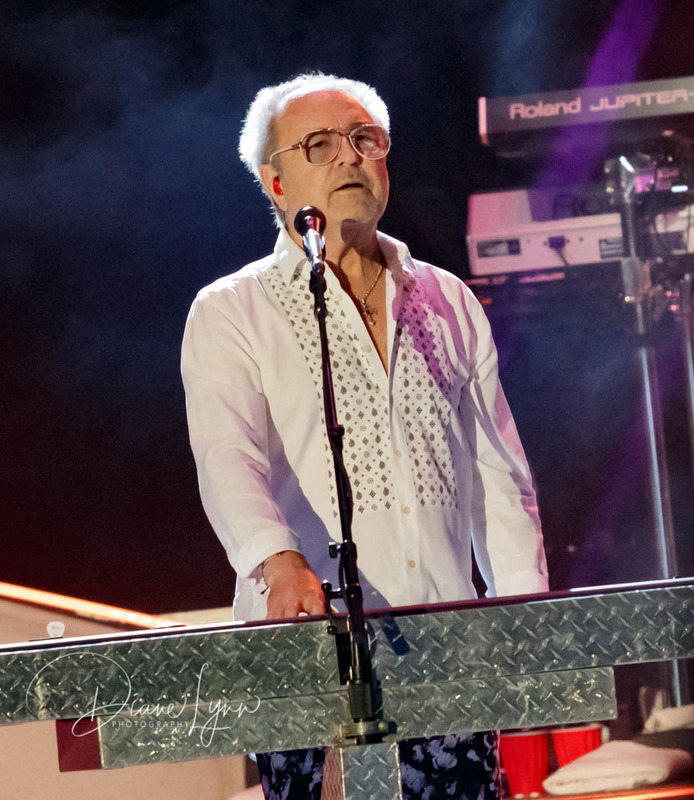 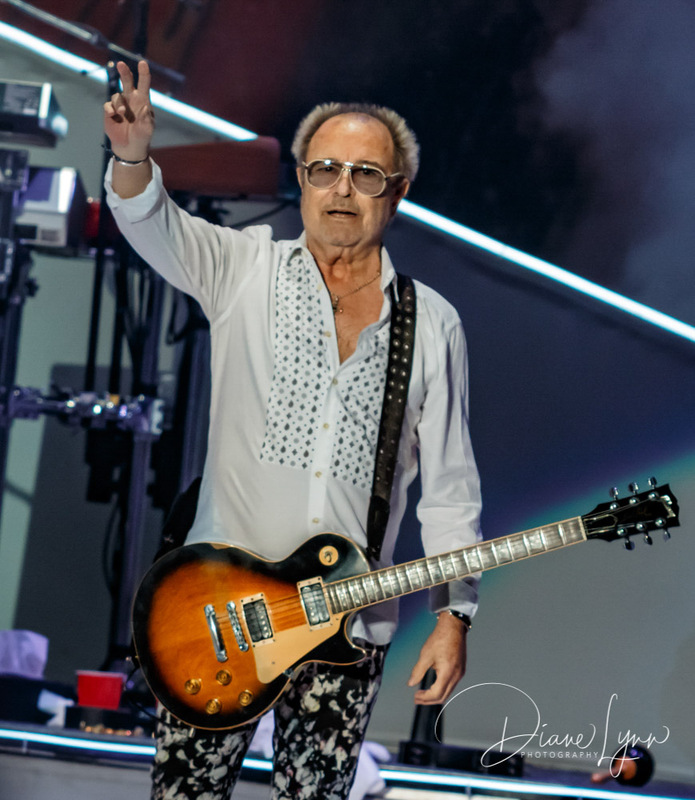 Foreigner touched on several albums during their set, most coming from their self-titled hit album Foreigner, released back in 1977. 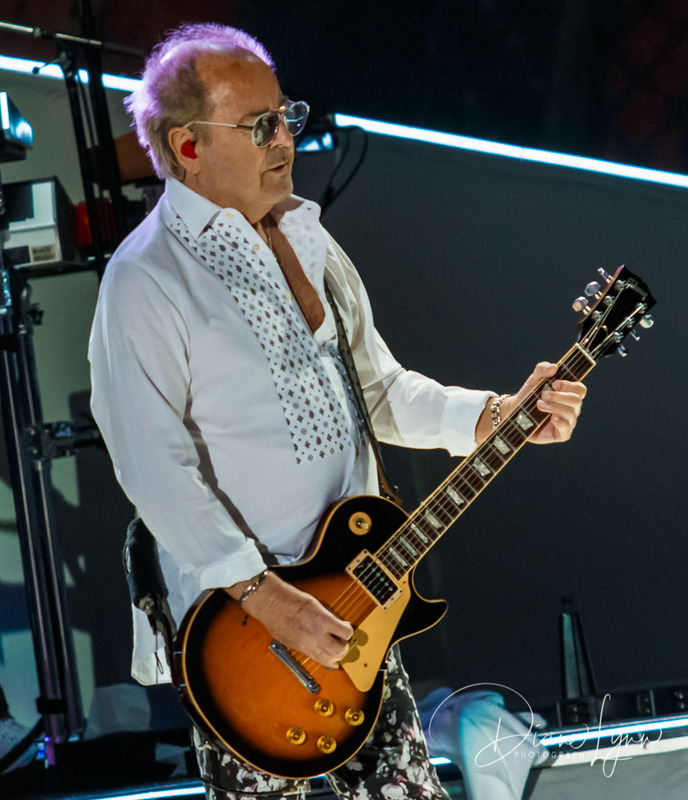 “Feels Like the First Time” brings the first appearance of Mick Jones. 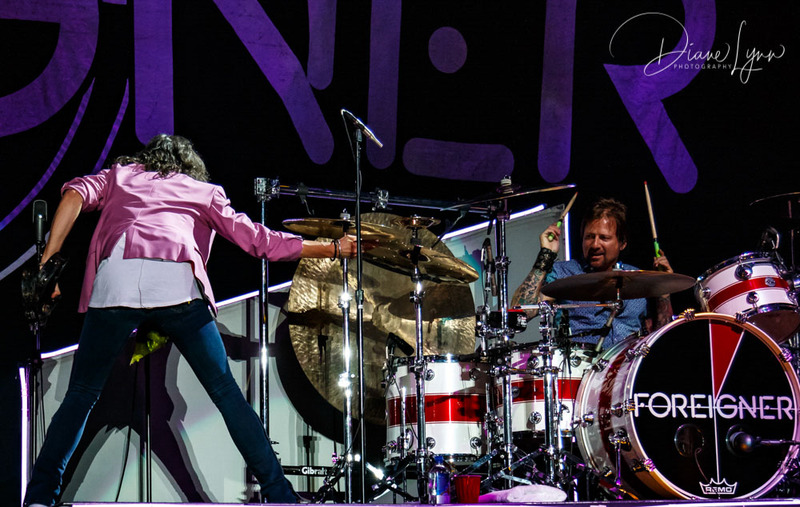 Mick stayed during the remainder of the set and the encore. 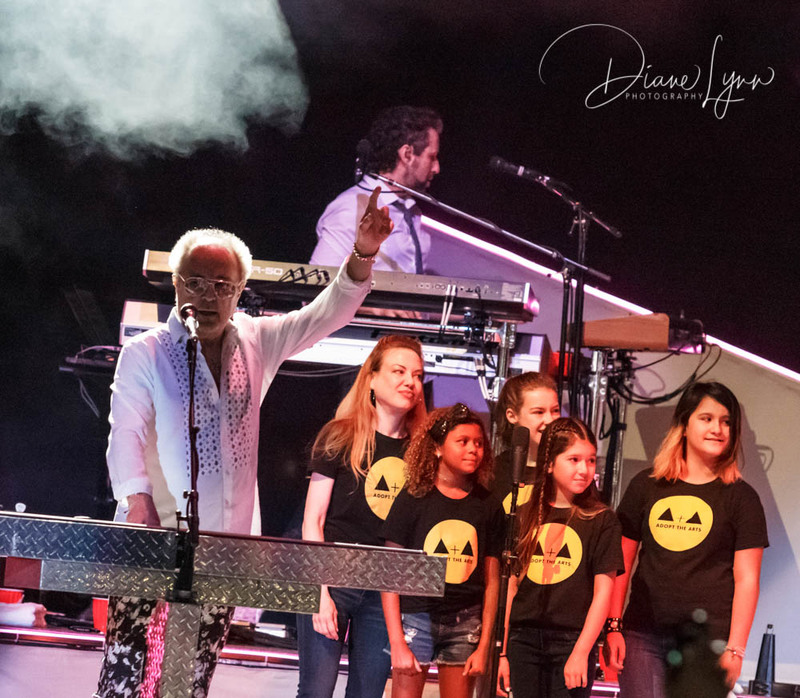 The first song of the encore brought out the Rosewood Elementary School Choir for a beautiful rendition of the classic hit, “I Want To Know What Love Is“. 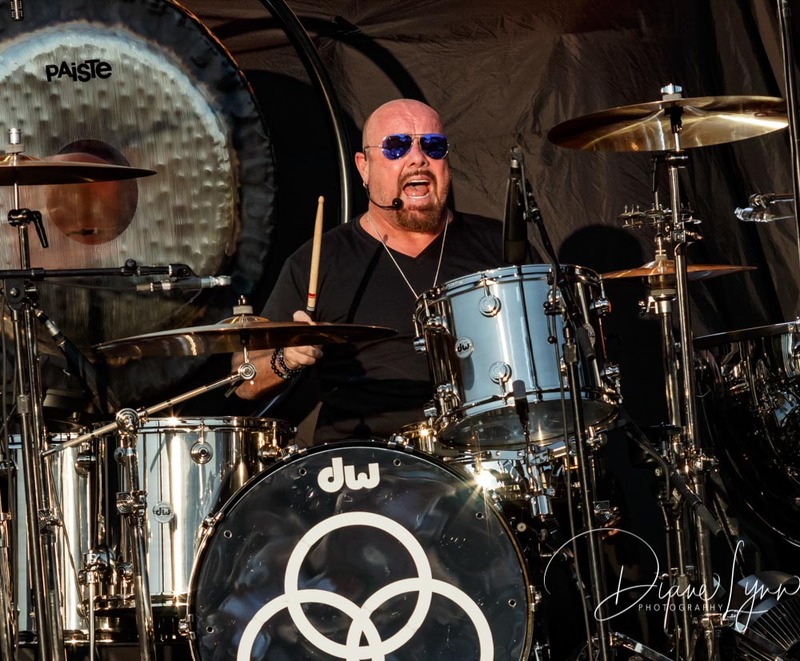 The final song of the night brought out a special guest and past member, Jason Bonham, to keep the beat on what is probably their most recognizable hit, “Hot Blooded“. Very few fans, if any, were leaving their seats, they all wanted the Jukebox to play one more song, but all good things must come to an end and with that – the night and the tour came to a close. 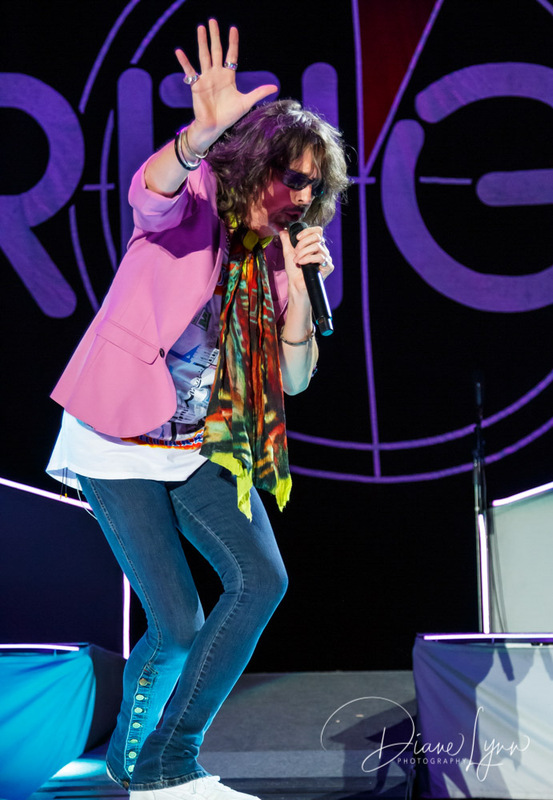 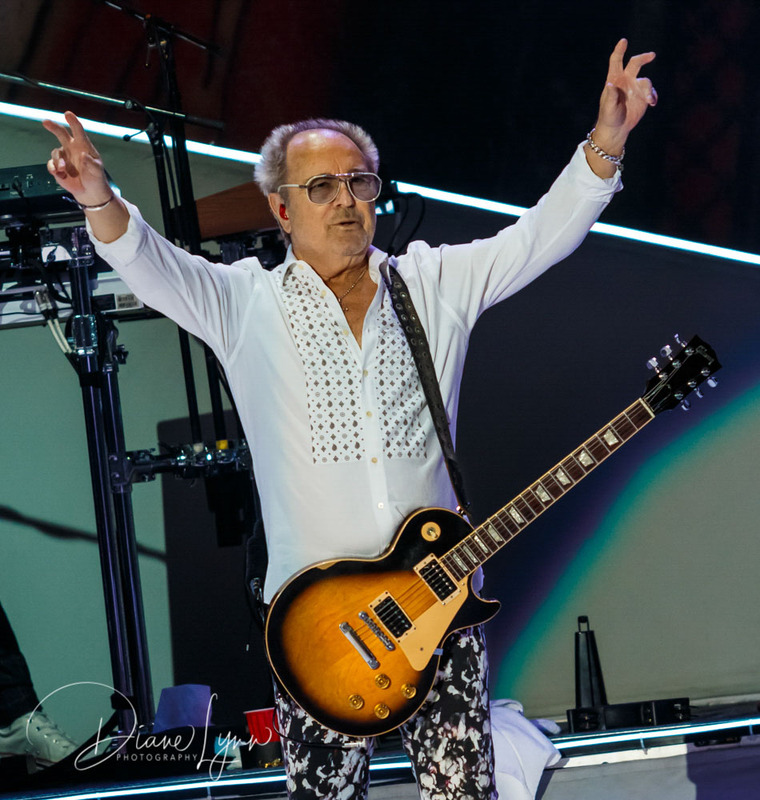 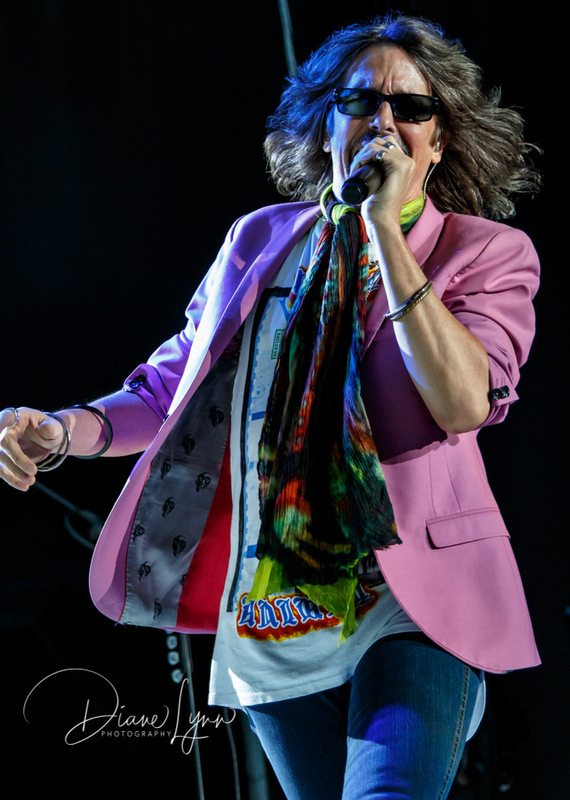 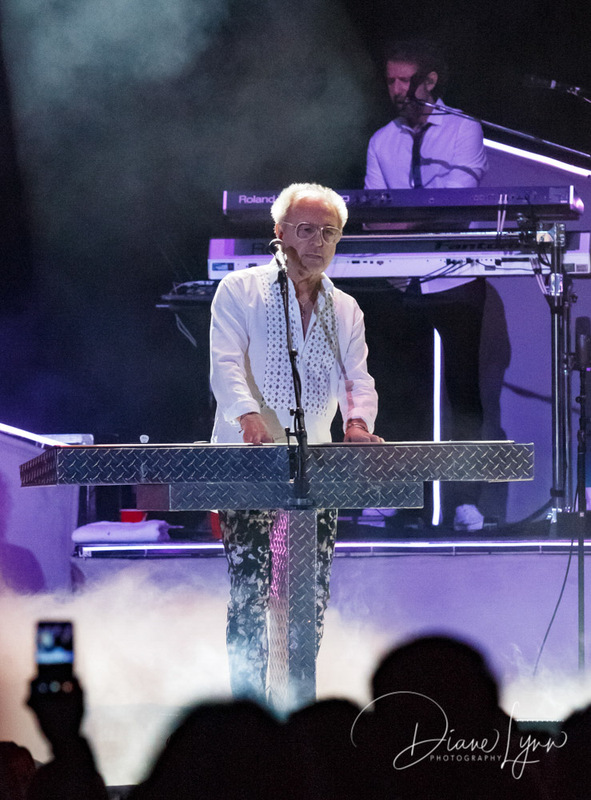 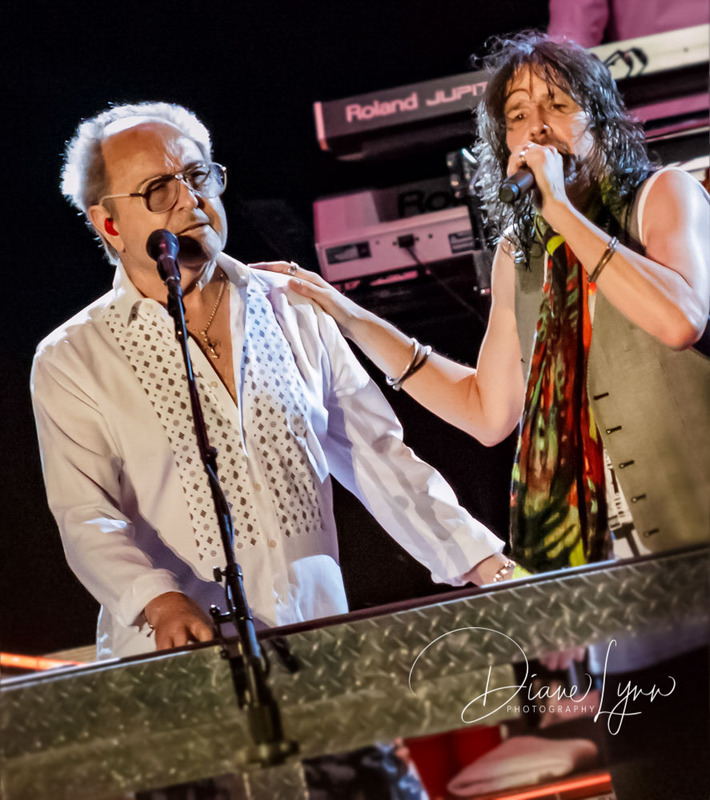 Almost immediately after the end of this tour Foreigner announced a special set of shows, four dates at the moment, bringing together all original, surviving members of the band, past and present. 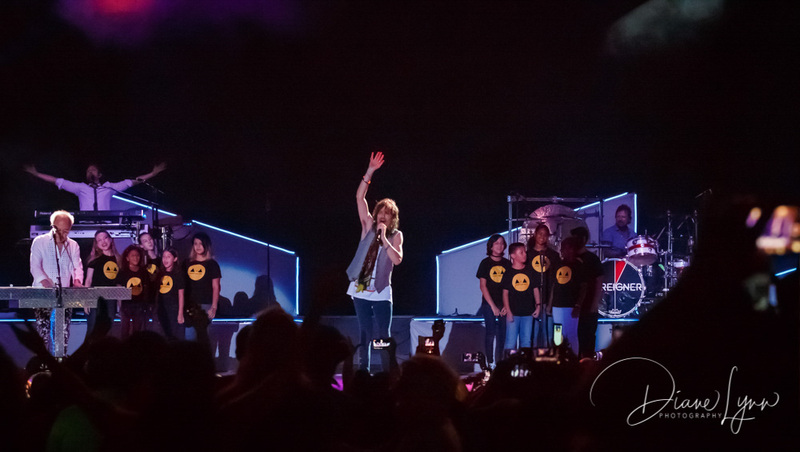 The dates listed are Nov. 9, Nov. 10, Nov. 30 and Dec. 1 this year. 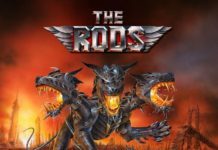 Check the bands website for more information. 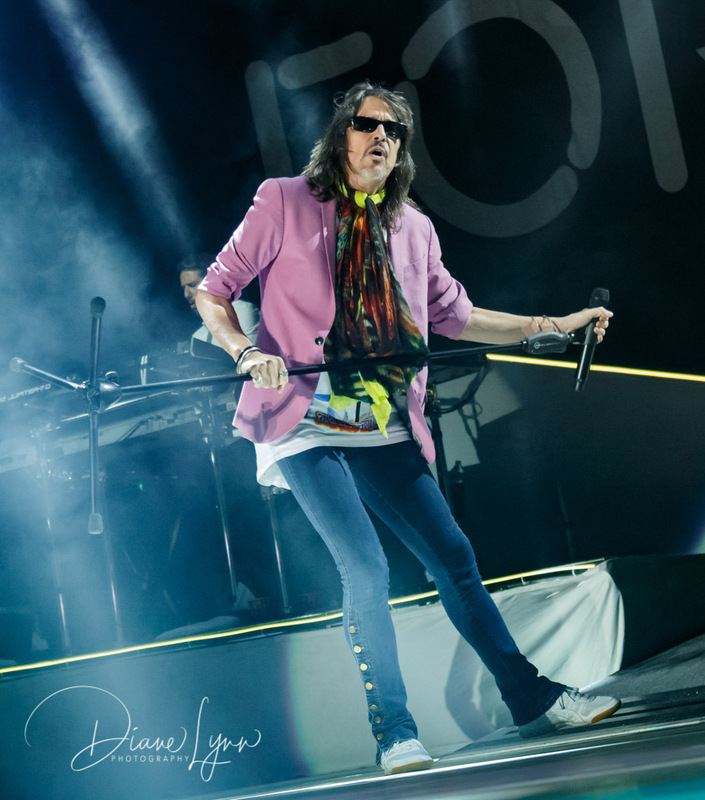 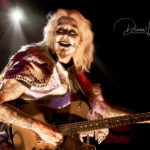 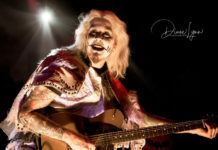 Previous articleA Paranormal Evening with ALICE COOPER & Special Guest ACE FREHLEY – The Greek Theater – 8/12/18.